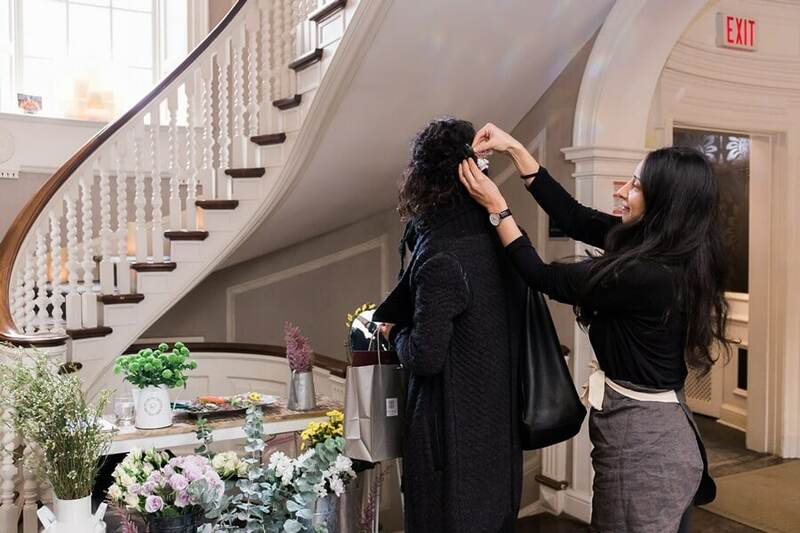 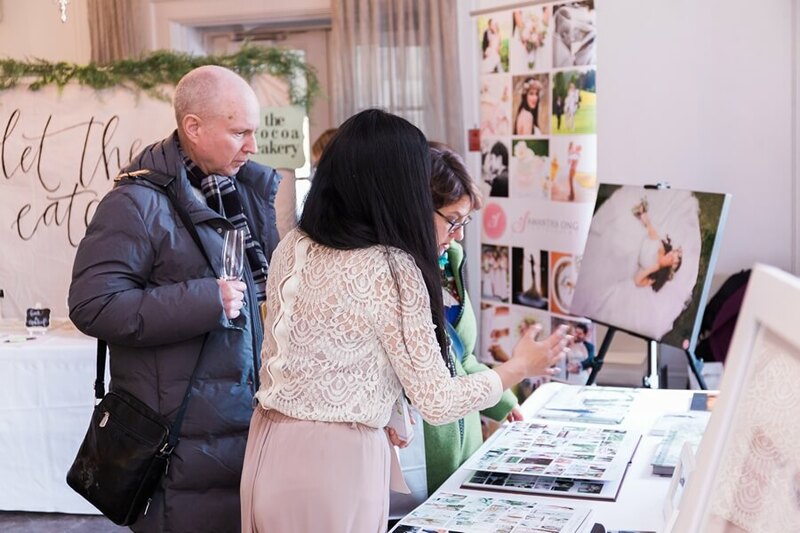 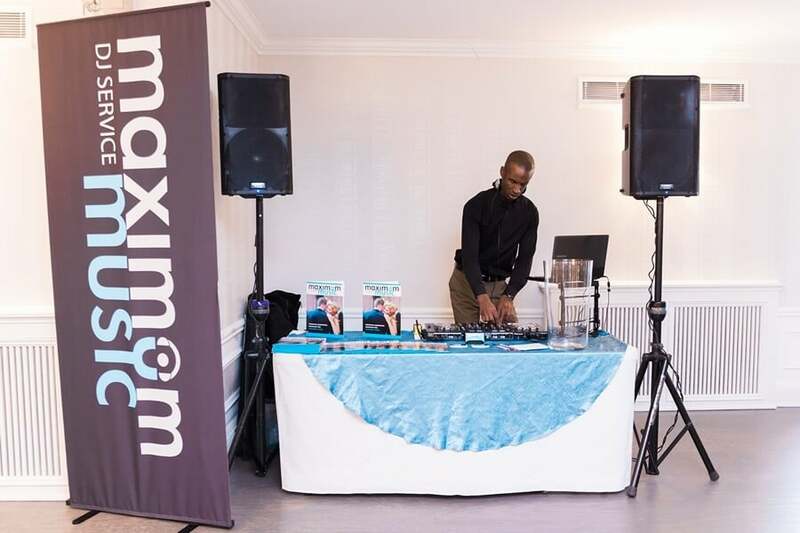 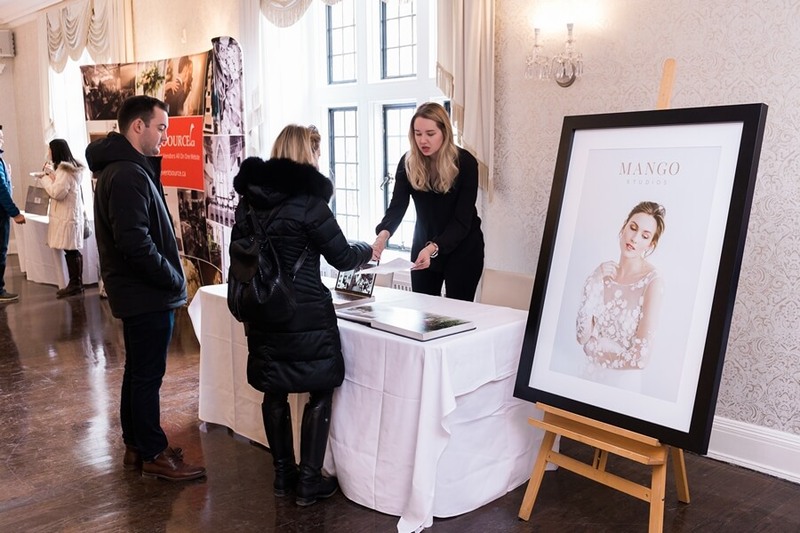 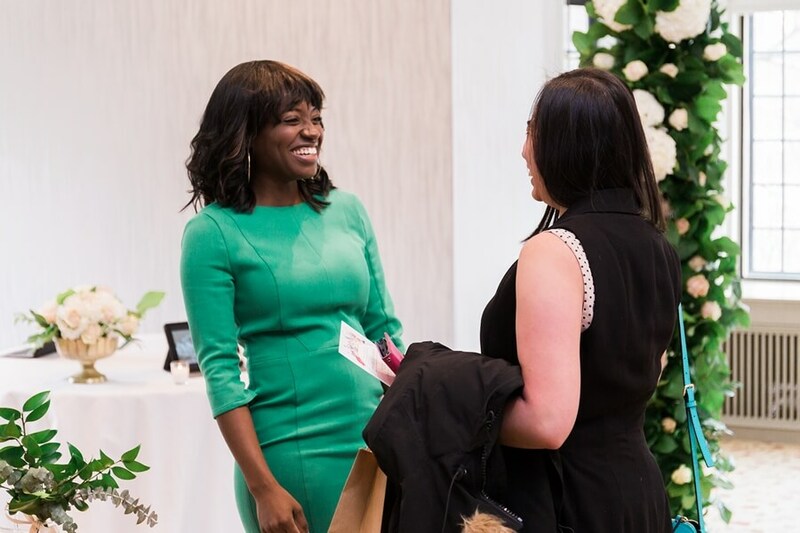 This past Sunday, Toronto-area couples were invited down to the Estates of Sunnybrook to take in all the Instagram-worthy inspiration styled by some of the finest wedding vendors in Toronto. 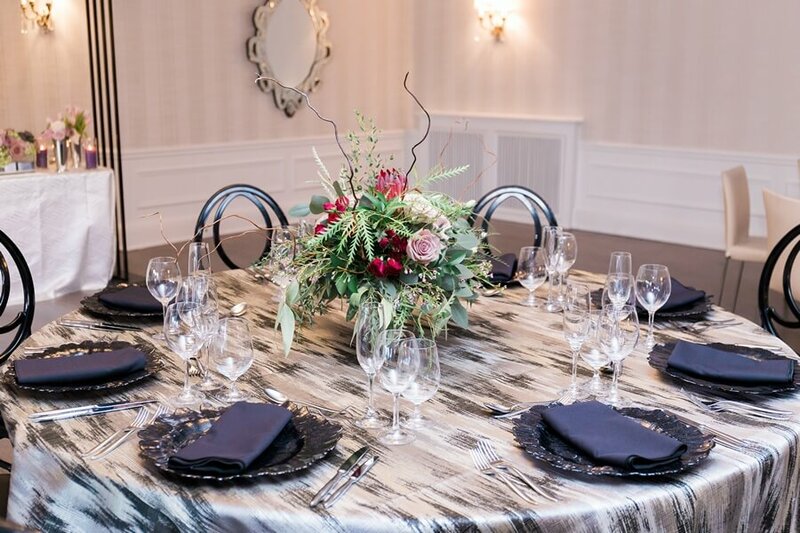 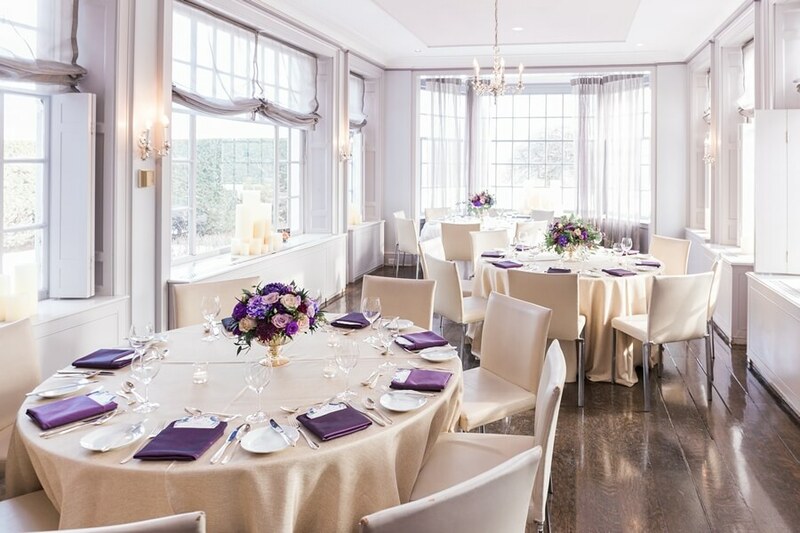 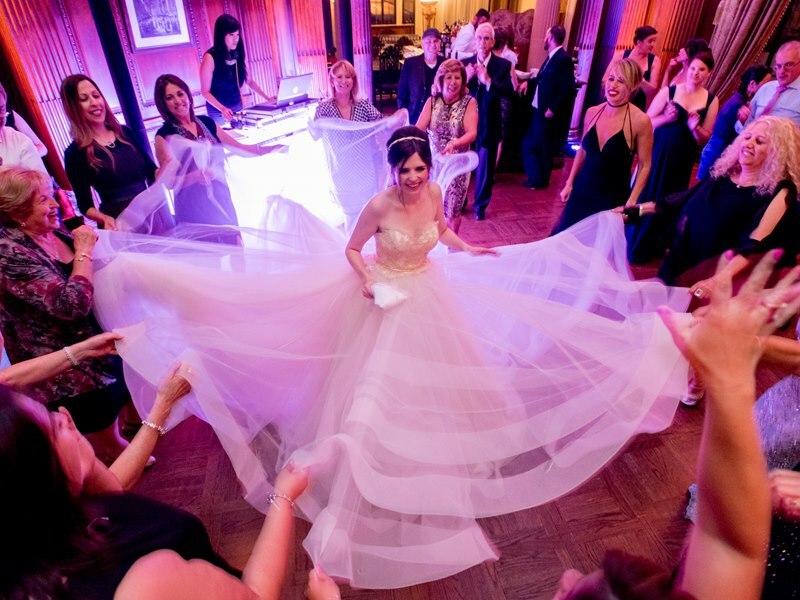 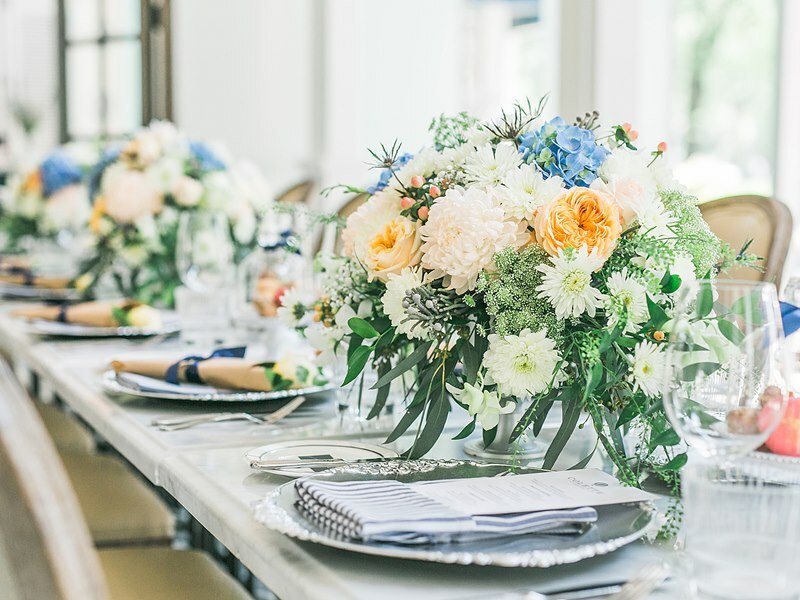 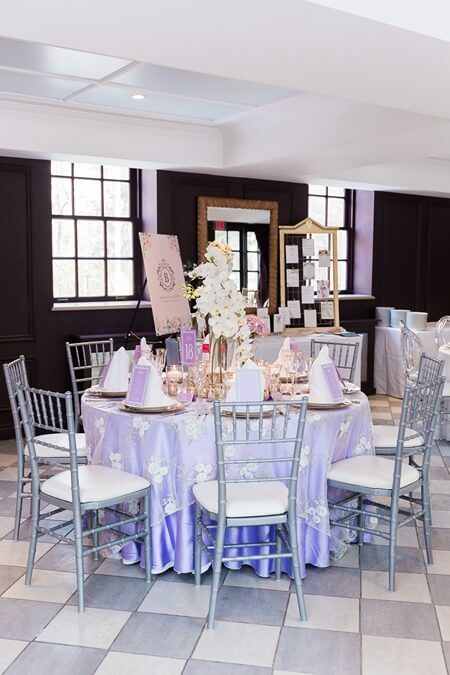 Located midtown, this stunning property offers some serious versatility across it’s three historical estates: whether hosting an intimate group for 20, or a larger celebration up to 150 guests, this venue definitely has you covered. 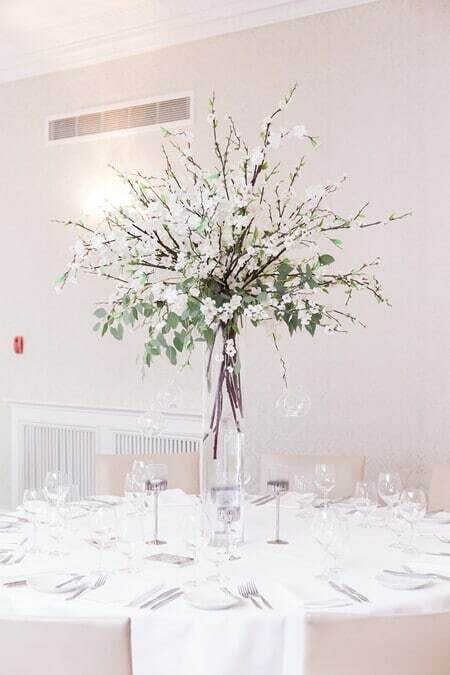 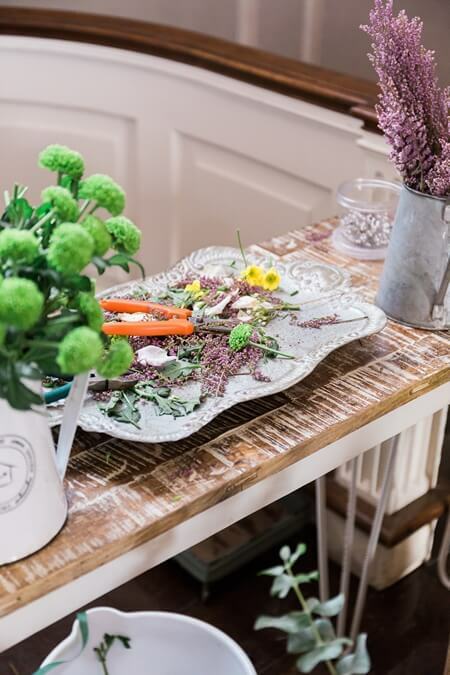 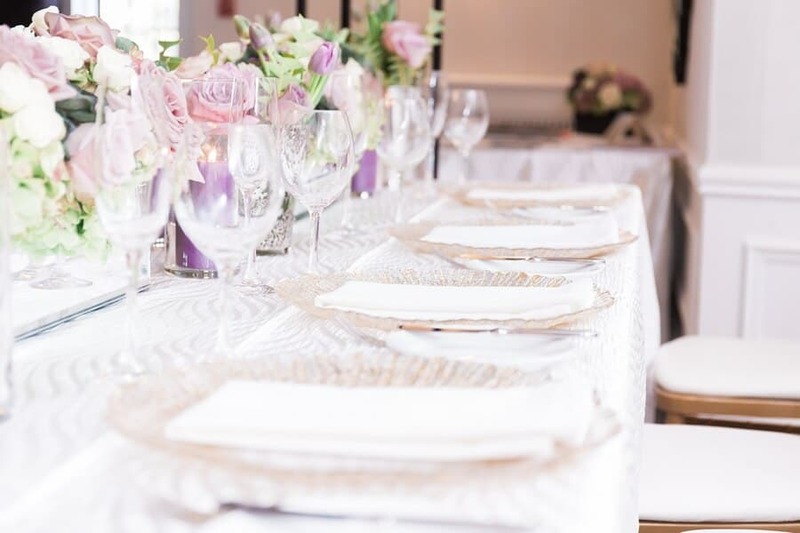 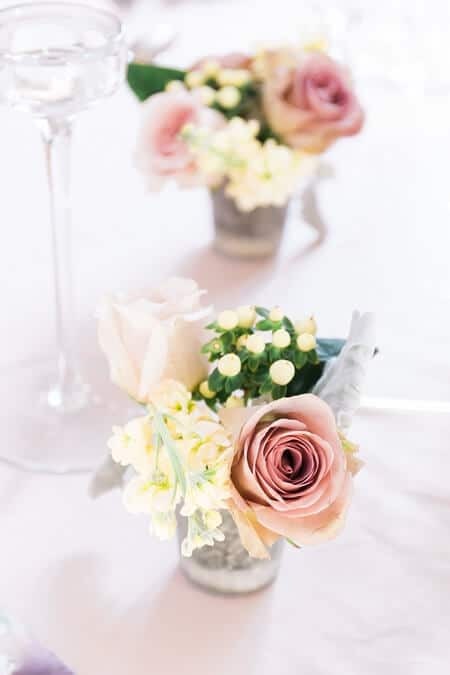 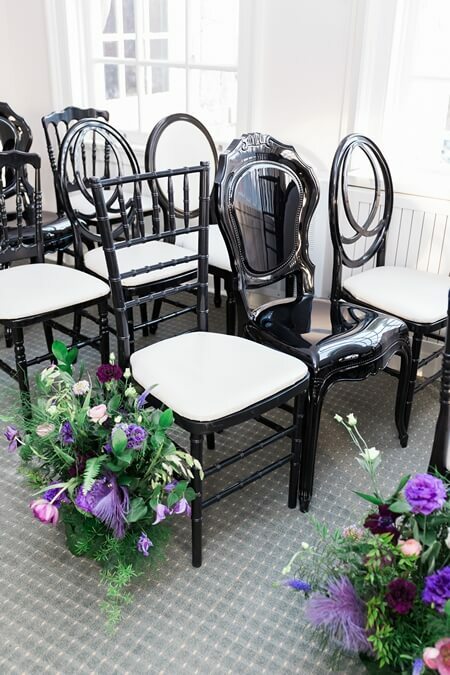 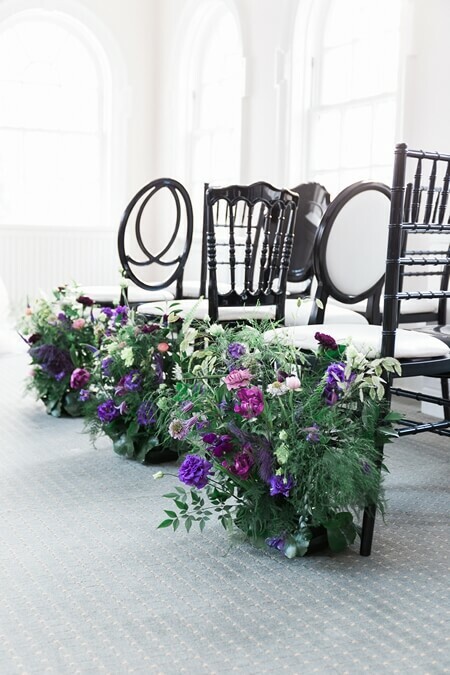 Many are often pleased to learn that the space is full service with set up of in-house tables, chairs, tableware, napkins and all the staffing provided to support your big day – what a bonus! 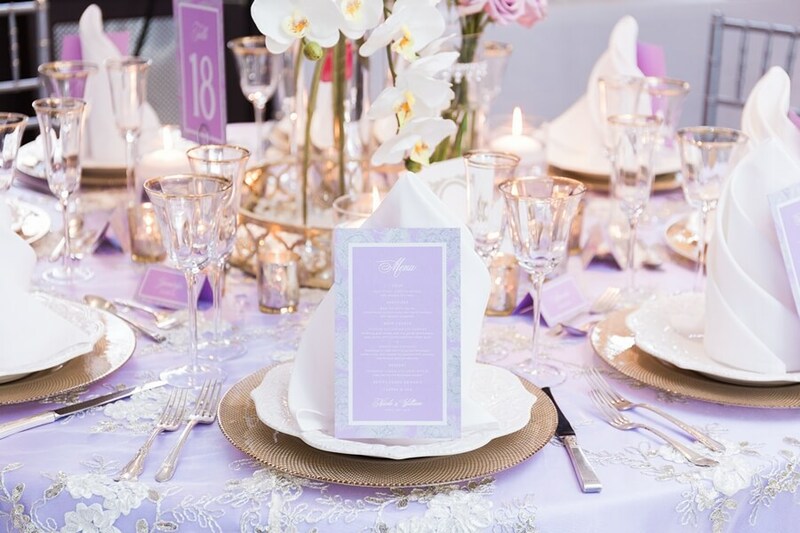 In case you missed it, Samantha Ong Photograpy captures all the lovely details while we begin our tour. 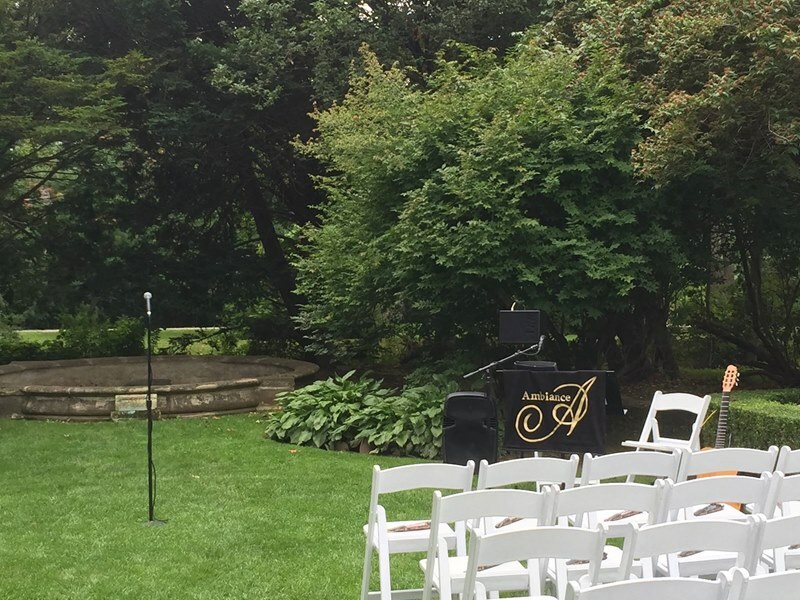 First stop – The McLean House! 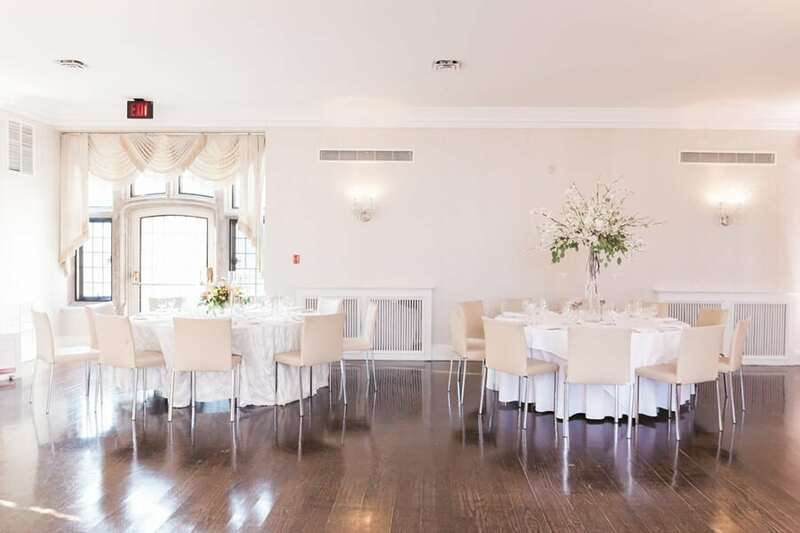 The Bayview Room, located on the second floor of the McLean House, is one of the most beautiful indoor spaces at the Sunnybrook property with its large, arched windows flooding the space with natural light. 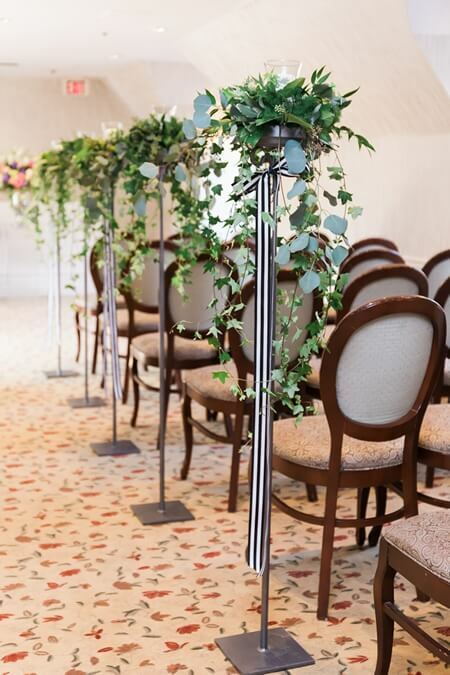 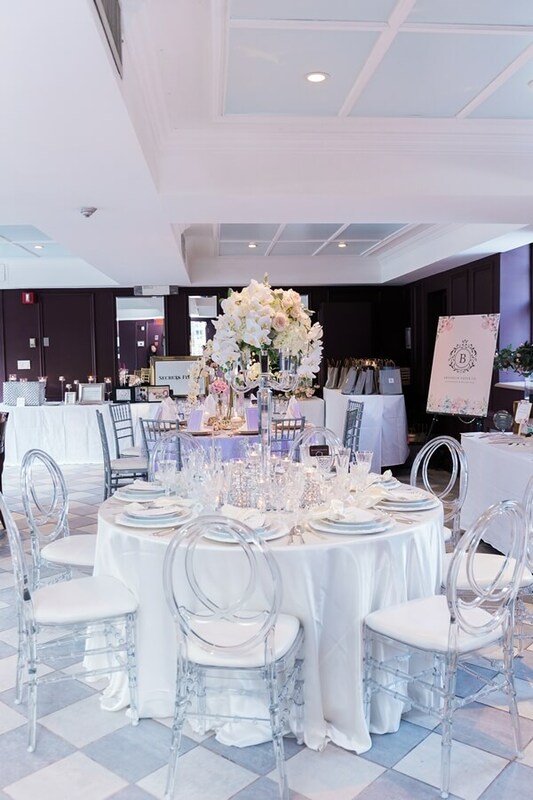 Wendy from Asian Fusion Weddings added a modern touch by using mismatching chairs for the ceremony setup complimented with florals by Periwinkle Flowers. 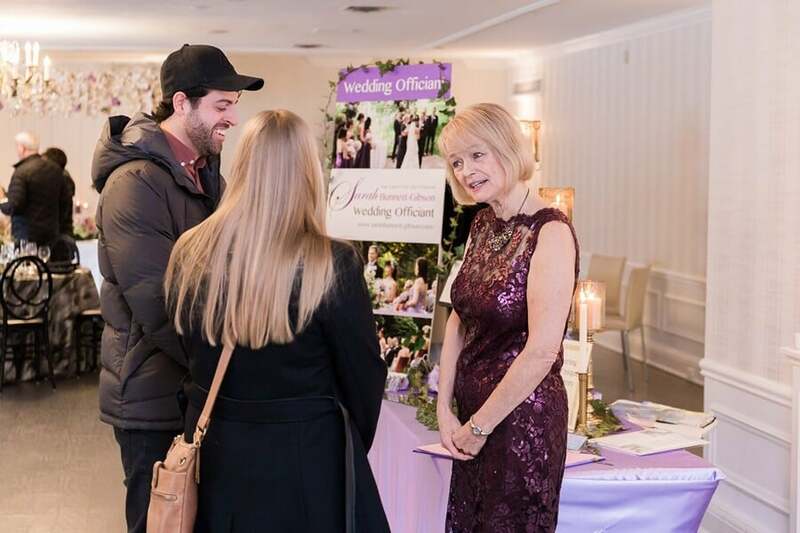 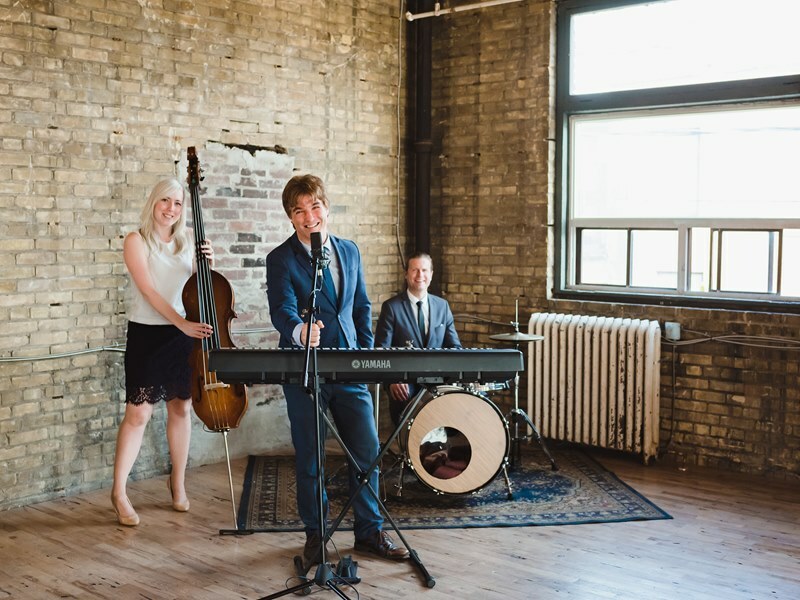 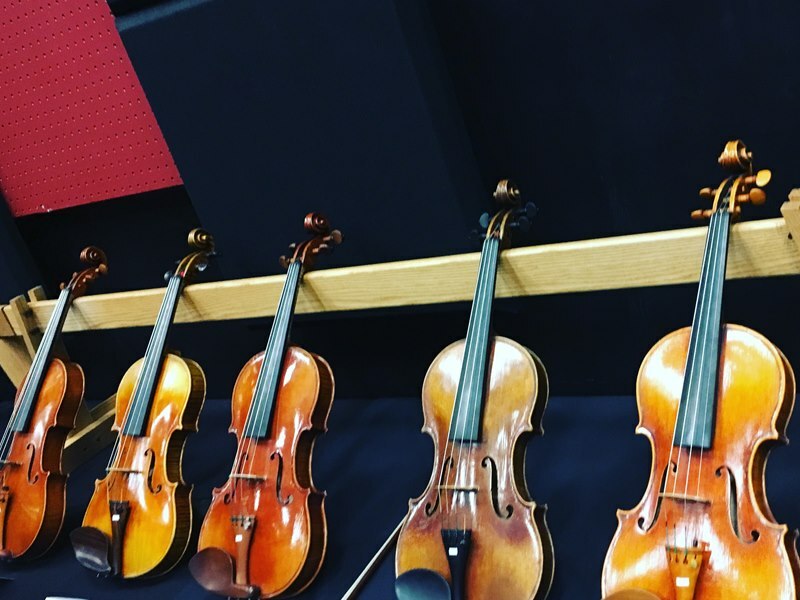 Orsi and her team at Wellington Music added the perfect touch of romantic ambiance – couple’s could totally picture their walk down the aisle! 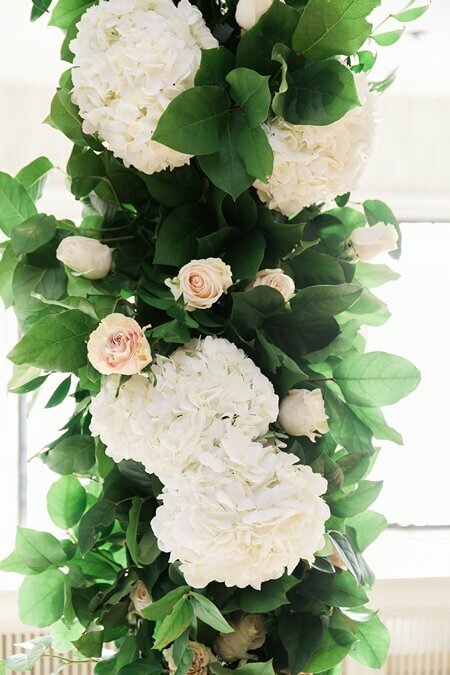 Fun Flower Stand provides a service to accessorize your guests with flowers at your event – how fun is that? 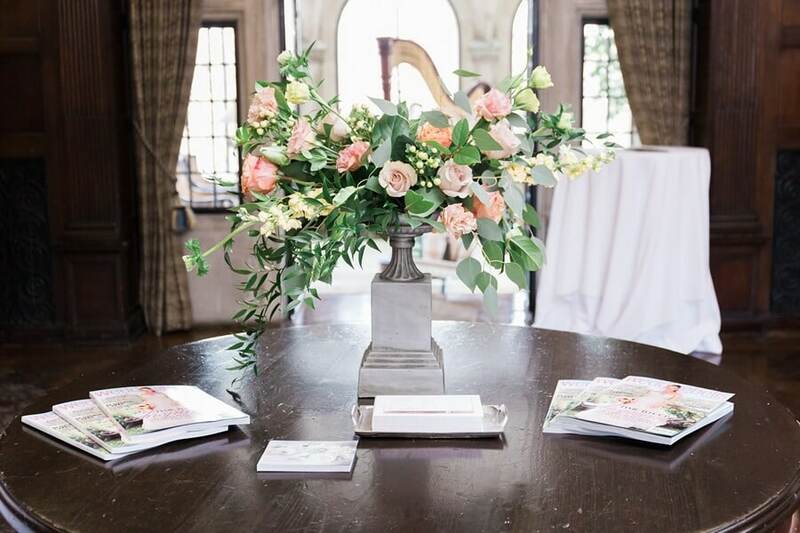 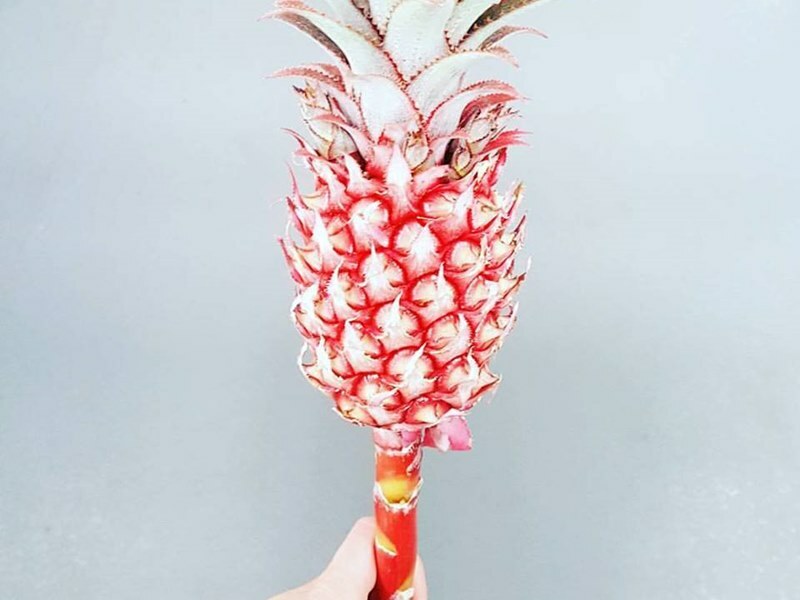 They provided fresh floral accessories for the guests in attendance yesterday. 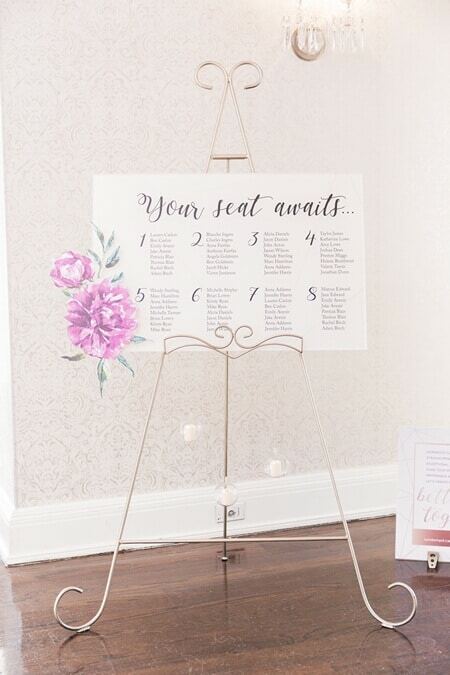 A cute interactive station that guests will definitely remember. 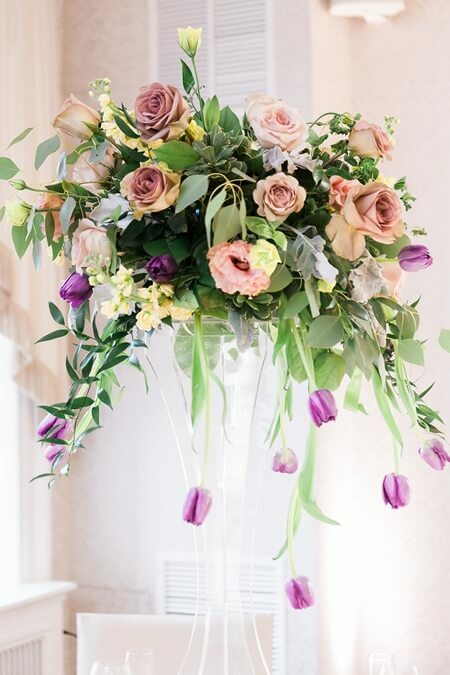 Who doesn’t love flowers, seriously!? 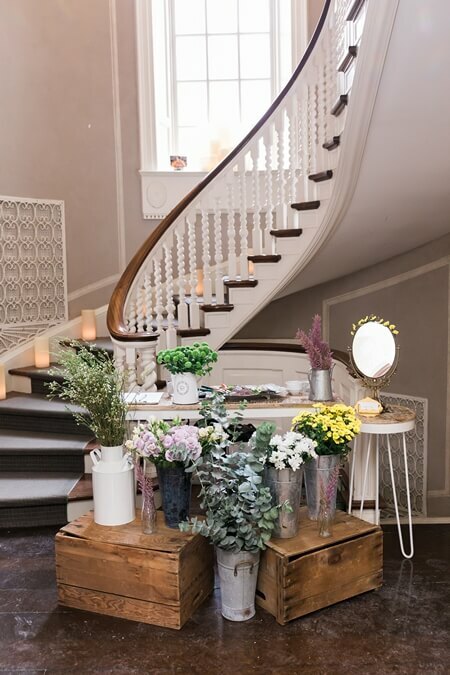 We continue downstairs to the charming Conservatory. 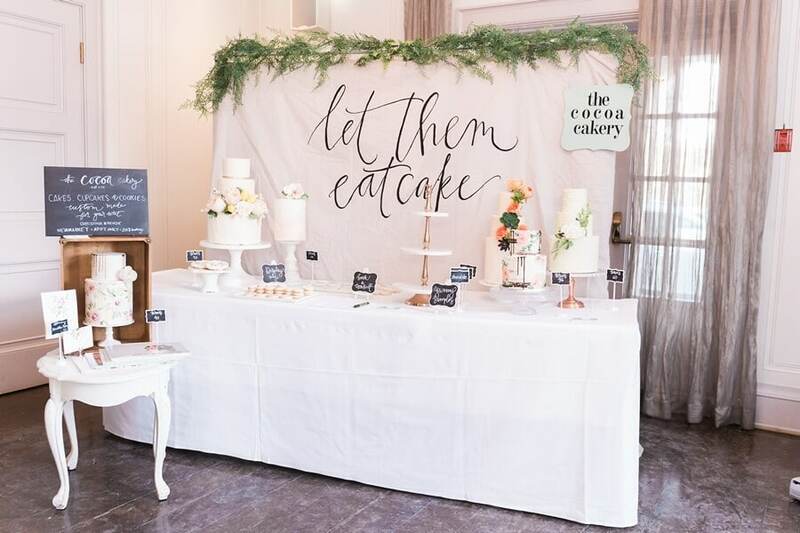 First stop: our hello to the oh-so-talented Christina at The Cocoa Cakery. 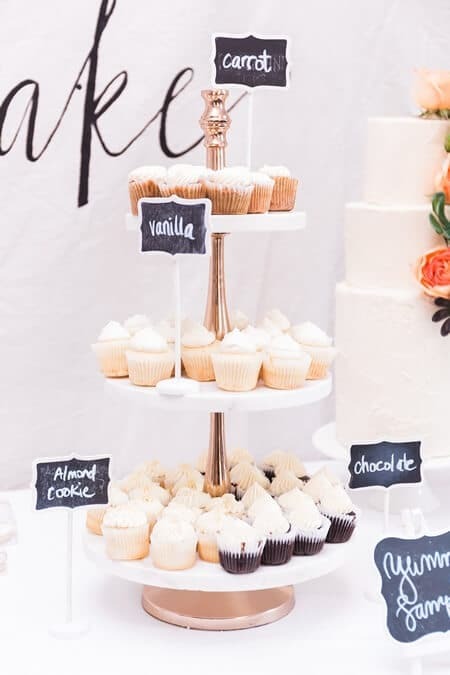 Offering guests delicious, handmade cupcake samples is always a big hit. 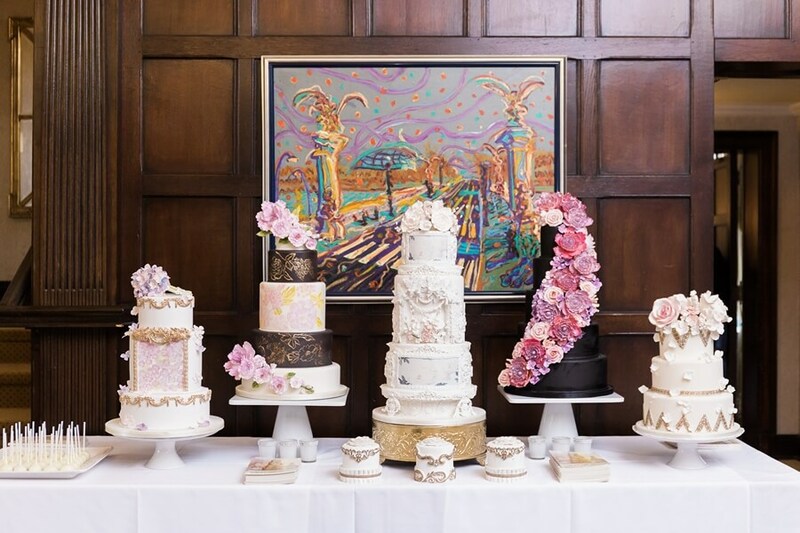 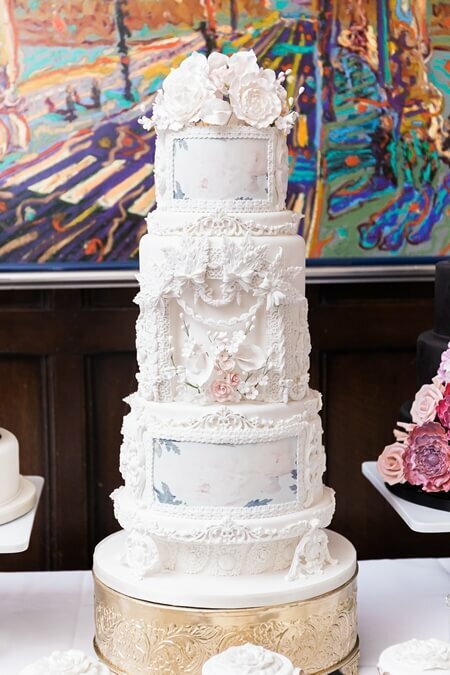 It’s going to be an ongoing challenge keeping that cake stand filled! 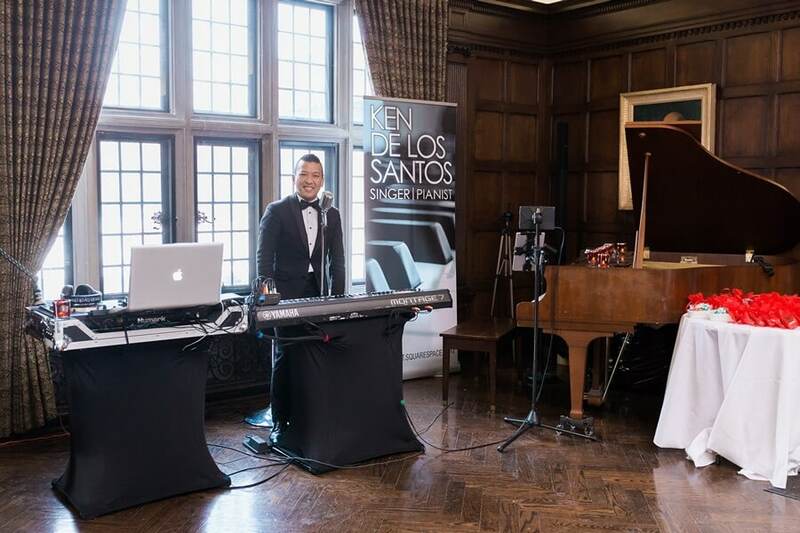 Brent Miller LIVE‘s upbeat cocktail music livened up the atmosphere and kept the crowd tapping along. 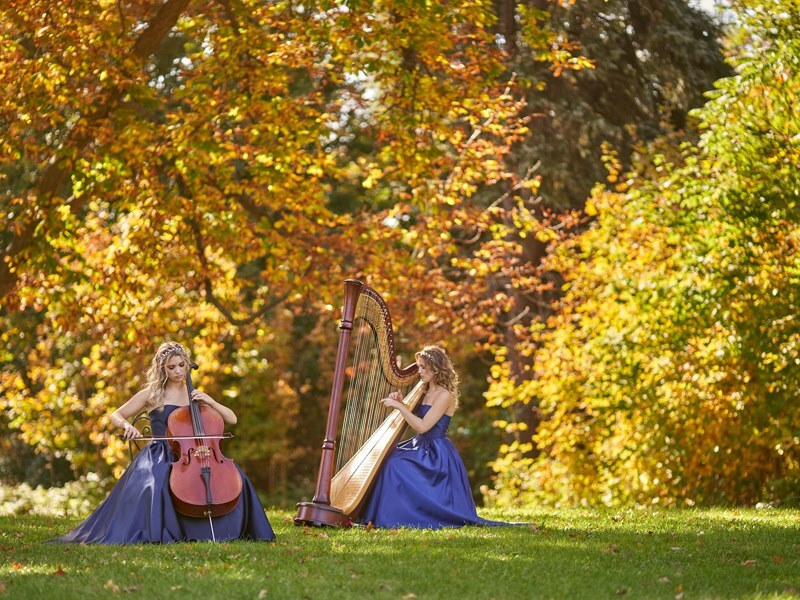 My favorite piece had to be their classed-up version of the Super Mario World theme song. 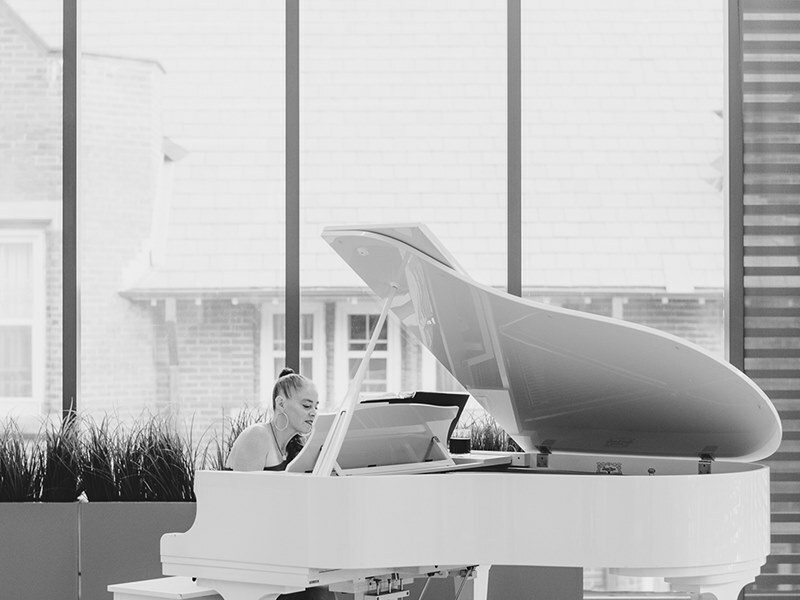 Mozart would be proud. 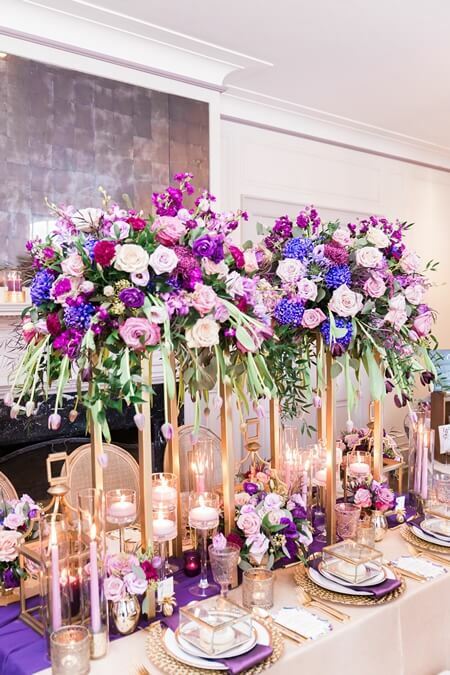 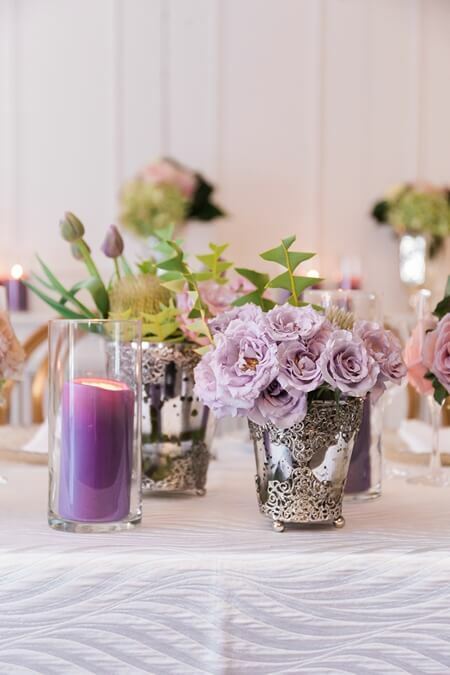 Helen and her team at Weddings by Design crafted this stunning head table design complete with lush flowers in ultra-violet, making great use of the pantone color of the year. 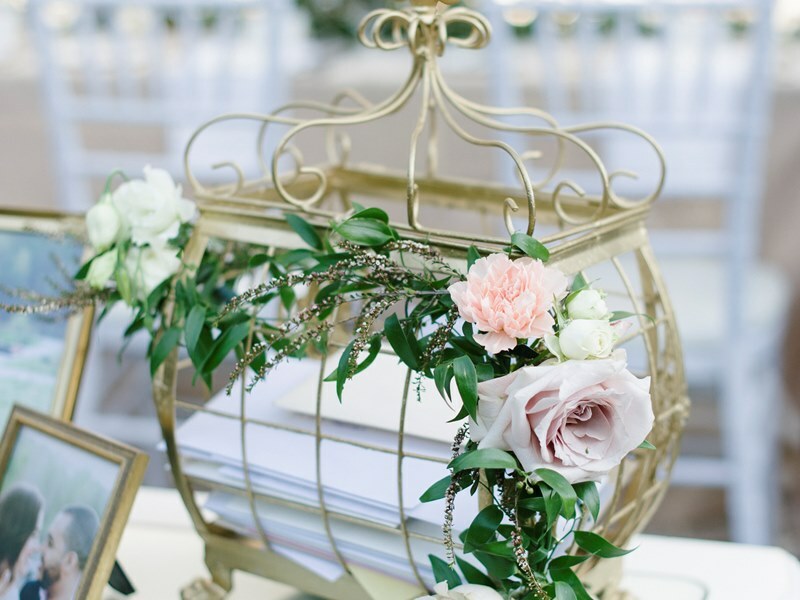 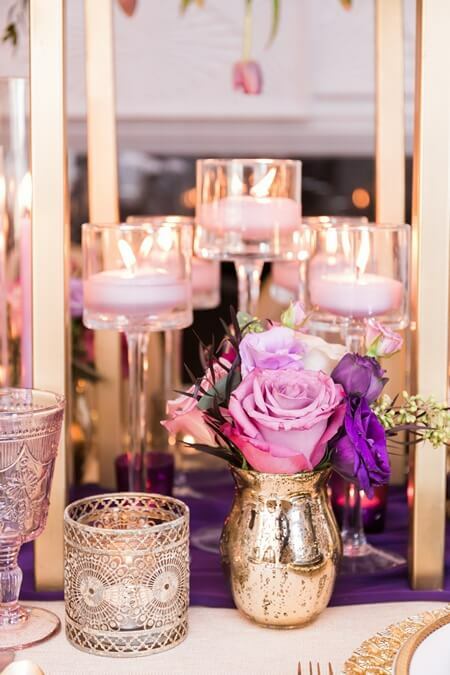 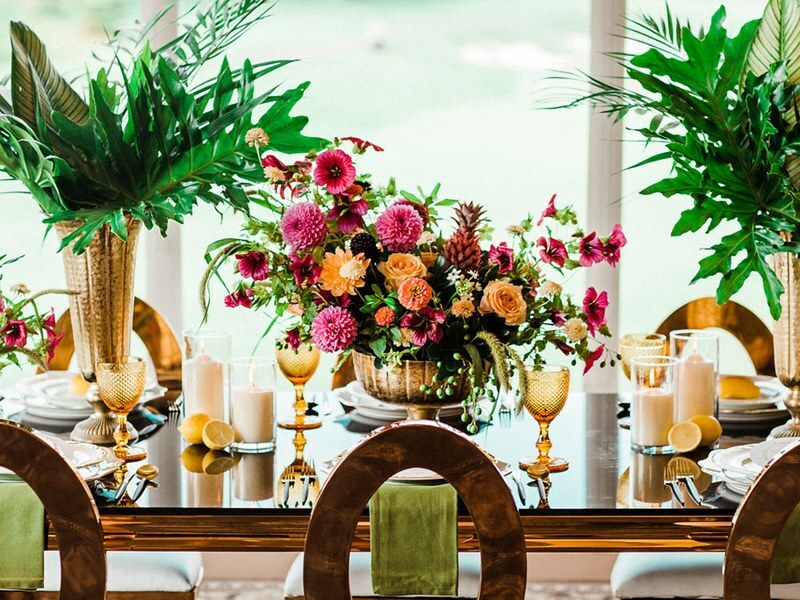 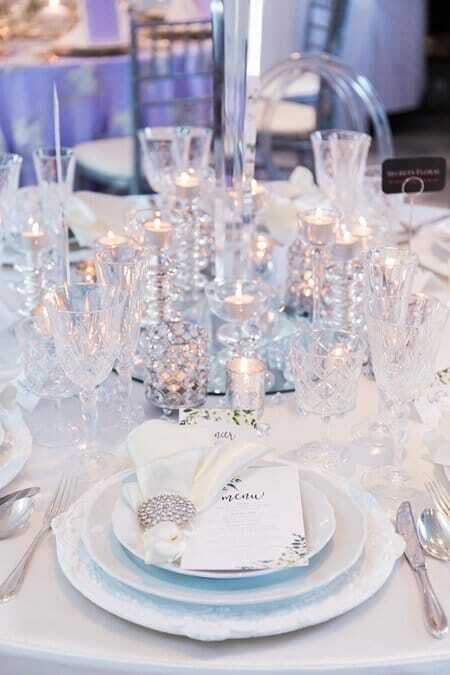 The jaw dropping tabletop was filled with metallic vases and lots of decorative accessories. 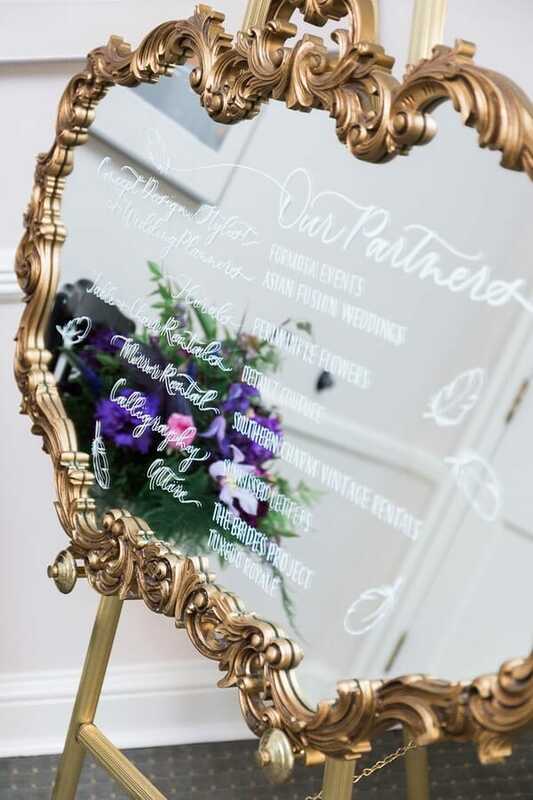 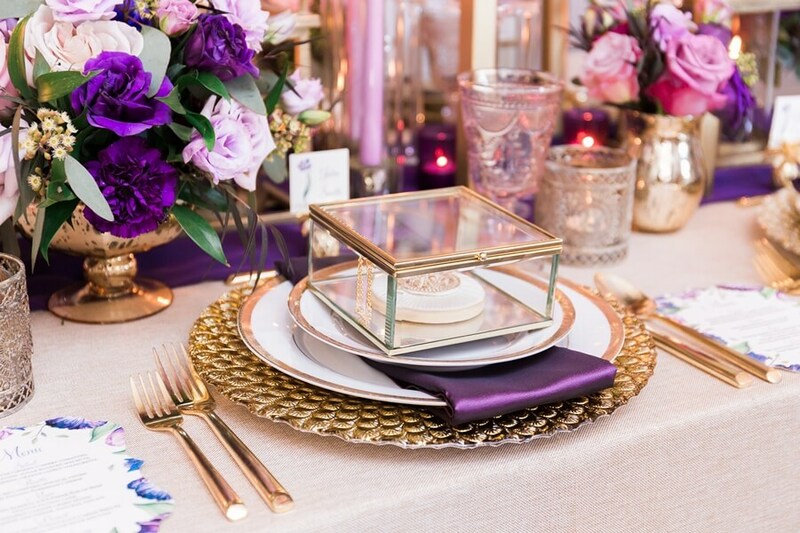 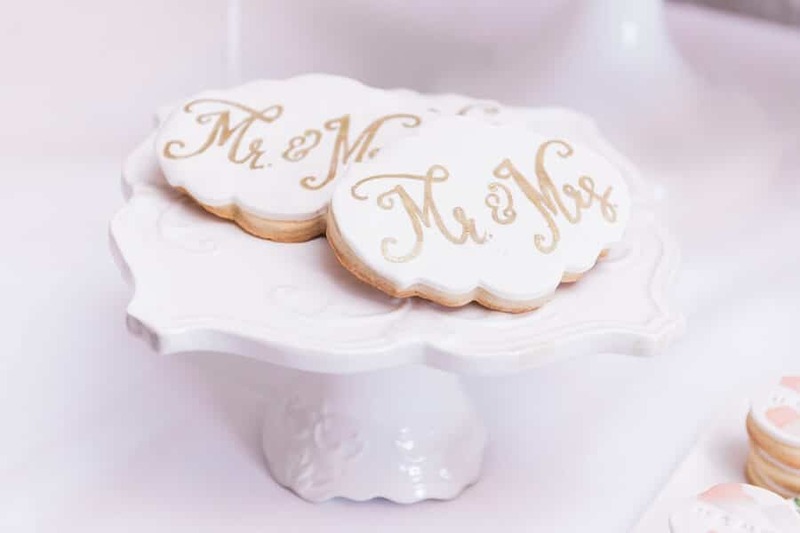 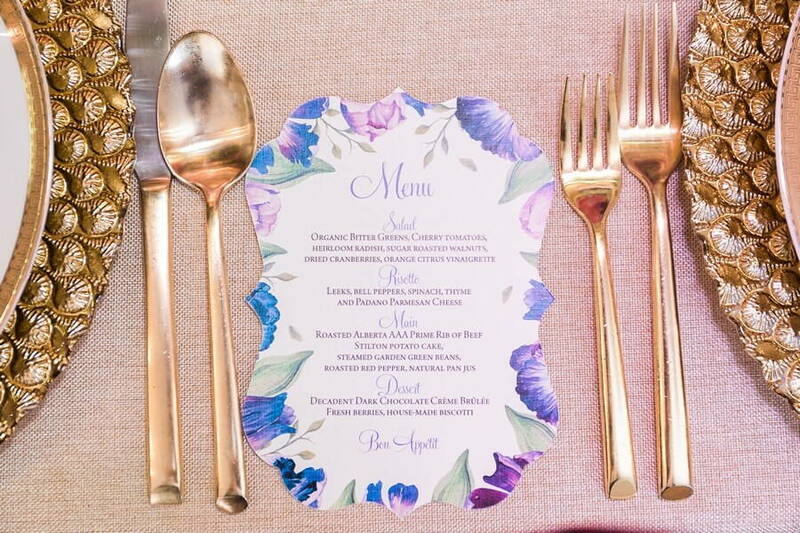 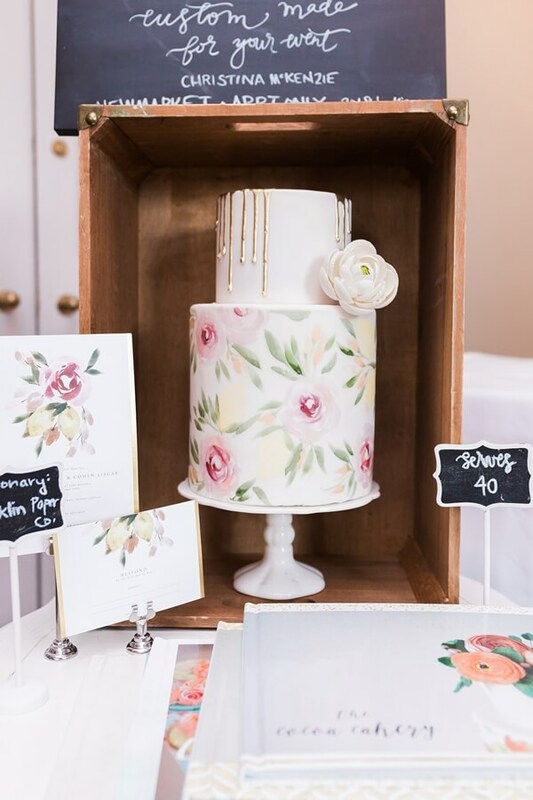 Each place setting was presented with an array of stunning details: from the unique, textured charger plates to the hand-decorated cookies in a gold, glass case – such a fantastic impact for guests! 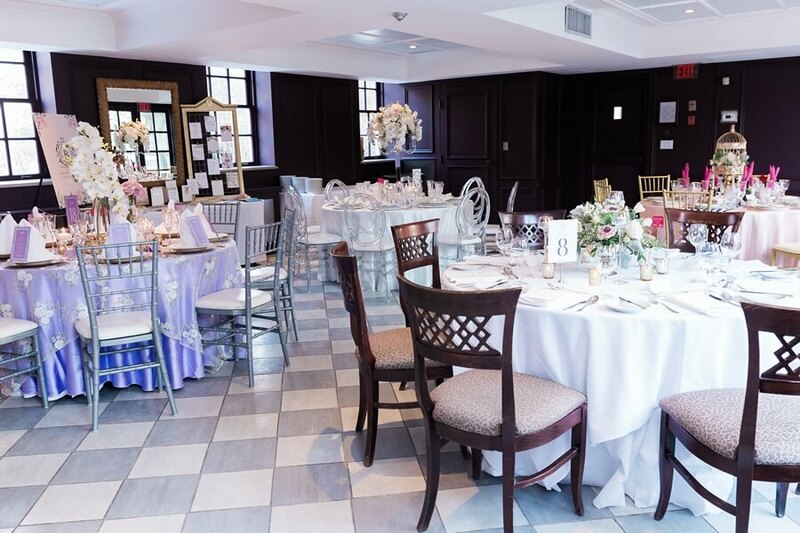 The Coach House is the perfect home for an intimate wedding. 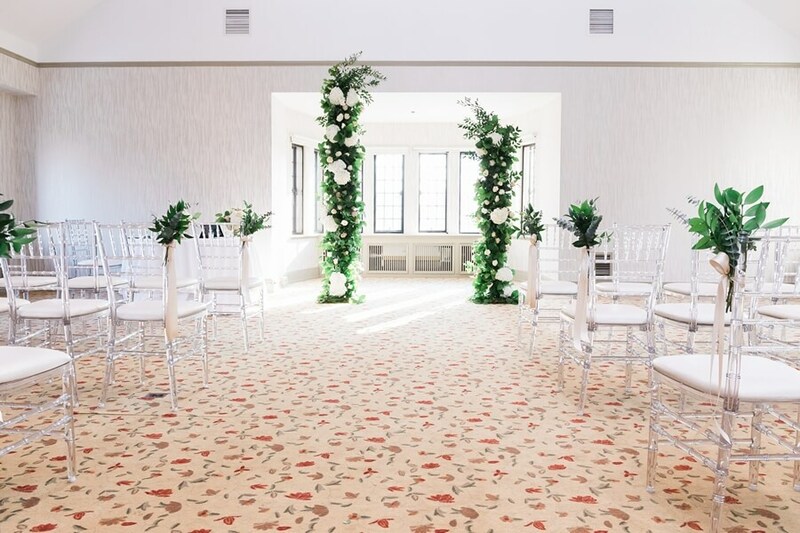 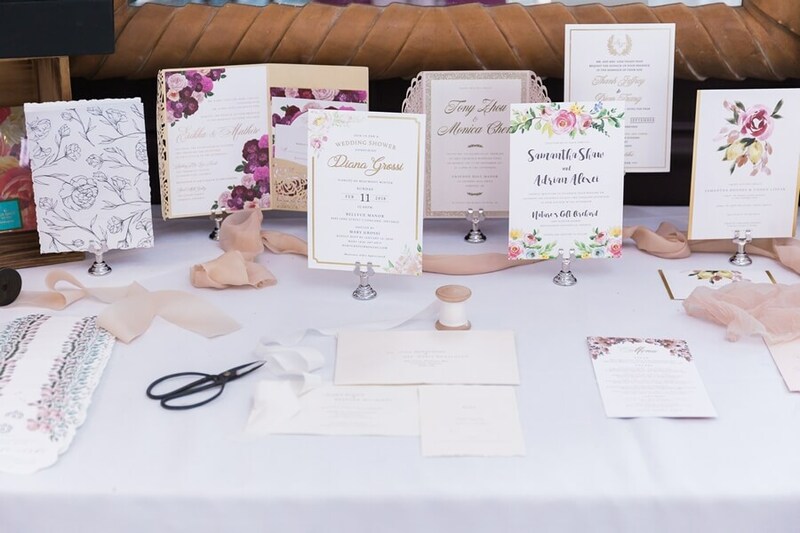 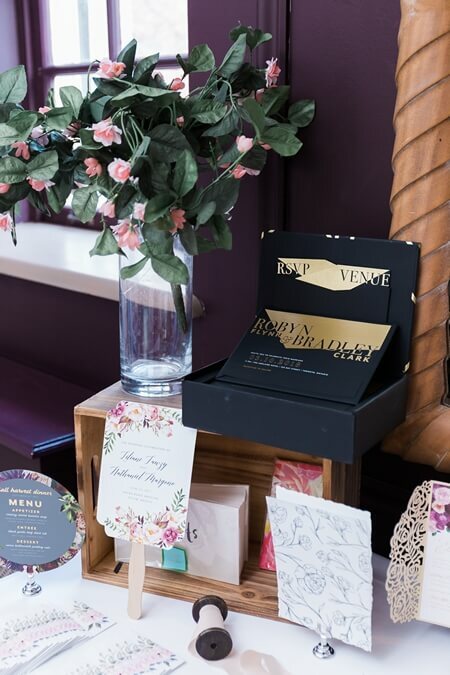 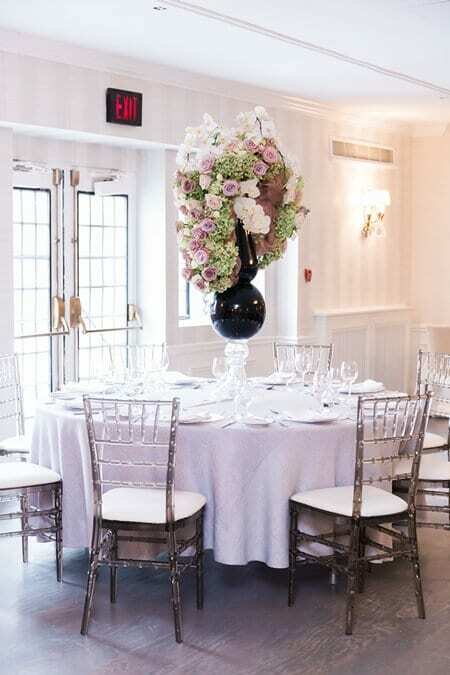 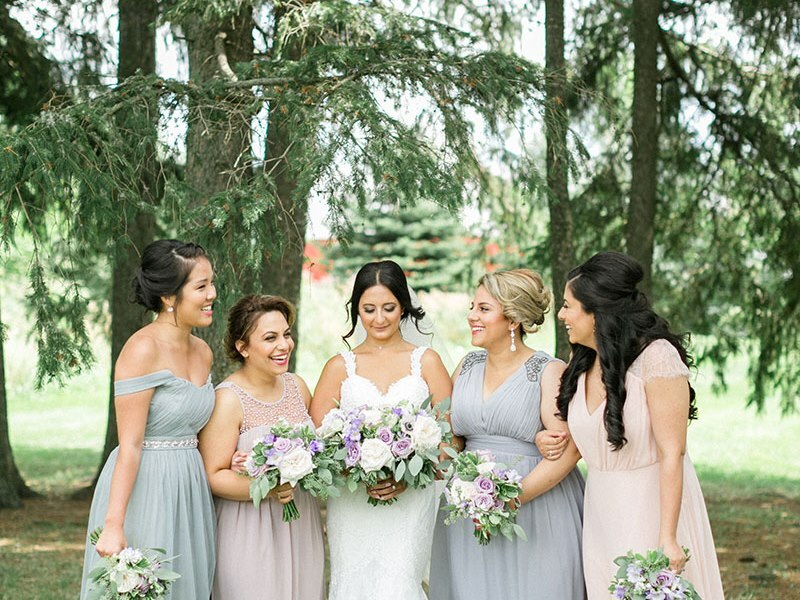 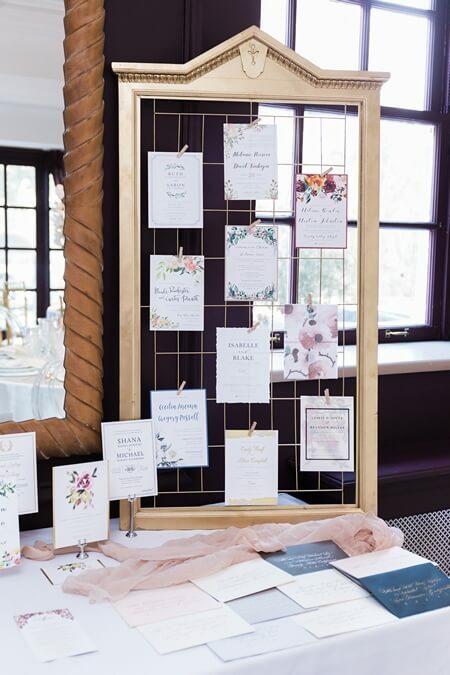 Zoe and her team at Secrets Floral Collection provided all the floral and decor setup for both ceremony and reception, while the team at Brooklin Paper Co. designed all the stationery. 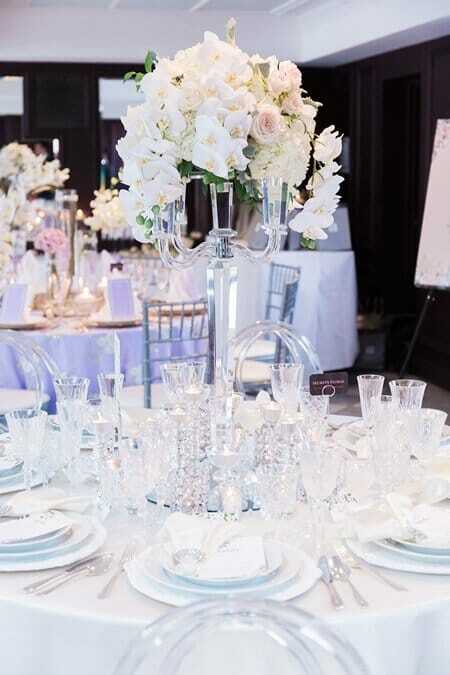 Plate Occasions provided all the table top rentals. 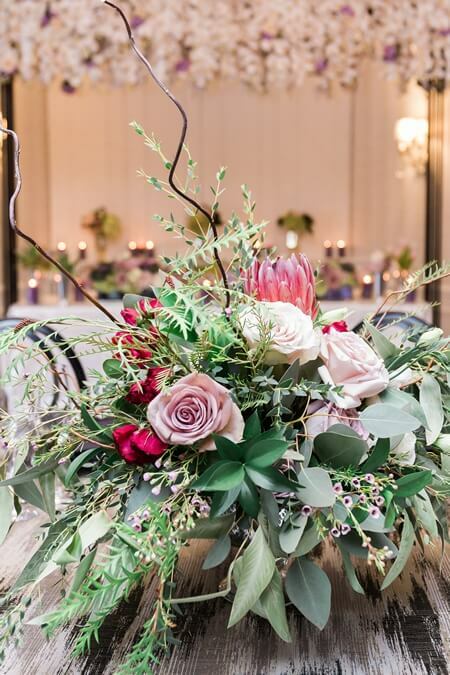 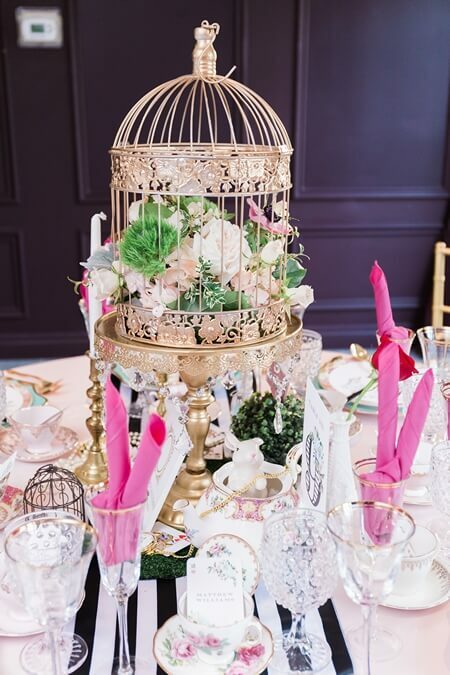 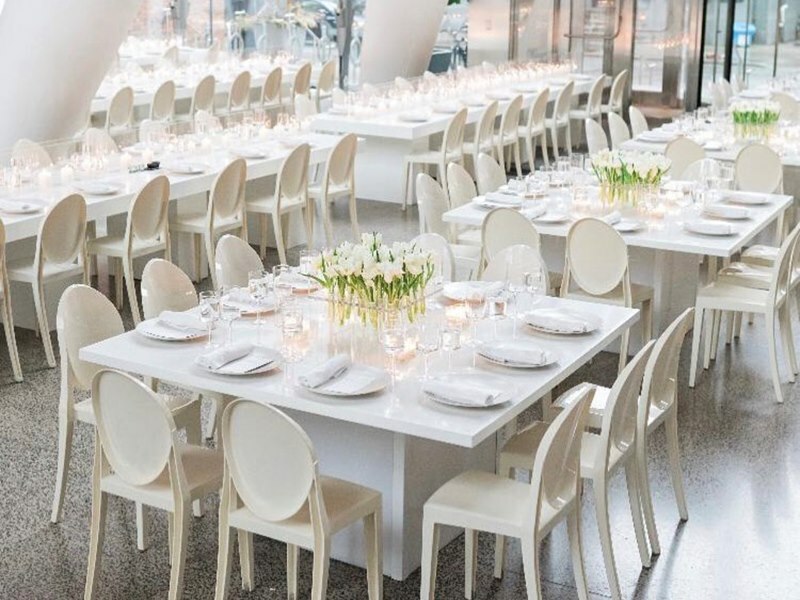 Each table was styled with a completely unique, yet complimentary theme to allow guests to pick and choose their favourite elements. 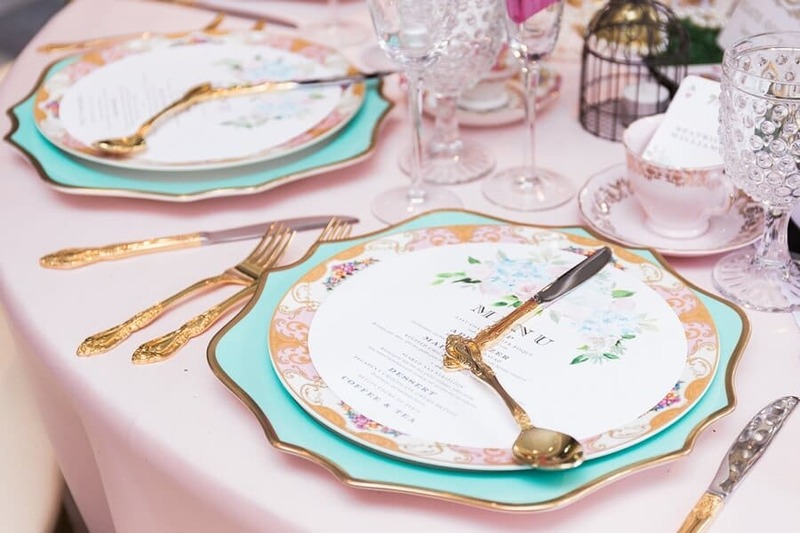 My most favourite had to be the Alice in Wonderland theme, where the tableware at each place setting is elegantly placed to reflect that it’s four o’clock. 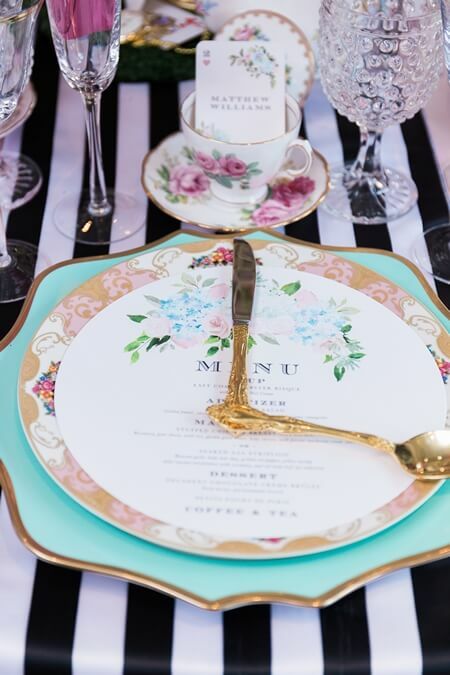 Time for tea! 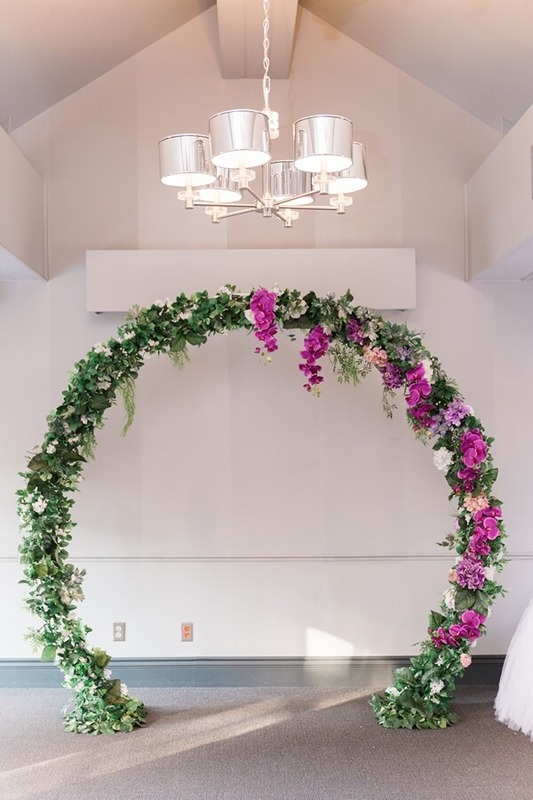 How about that gorgeous circular floral wedding arch!? 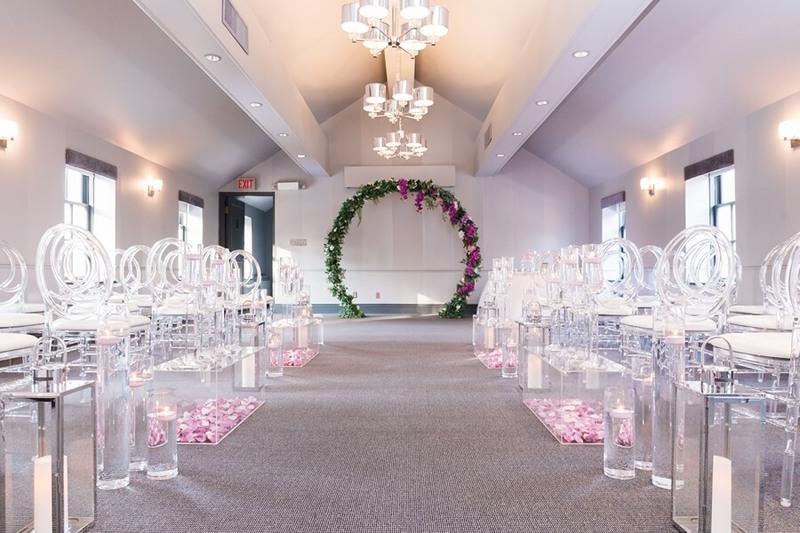 We didn’t forget to head upstairs before we left the Coach House to check out the most romantic of intimate ceremony settings created by Secrets Floral as well! 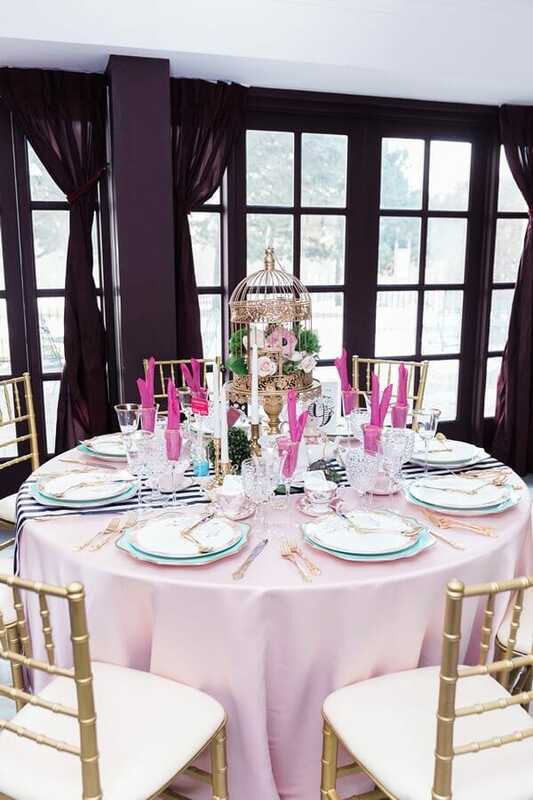 Continuing our tour, we next moved to the Vaughan Estate, a historical home with the largest available ballroom. 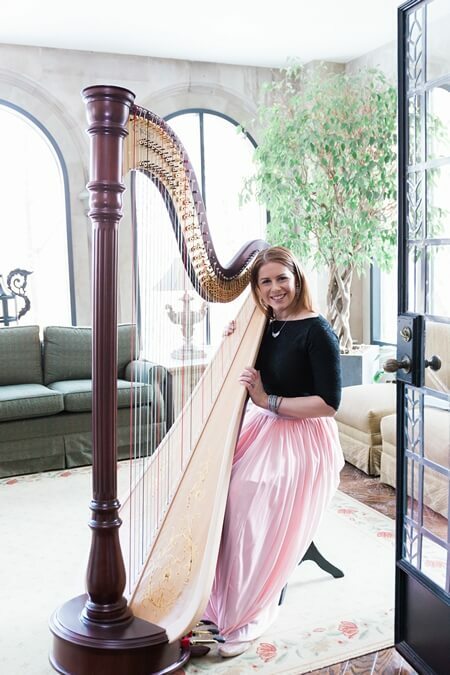 Entering the central foyer, guests are immediately welcomed by enchanting music from Chantal Dube Harpist and , both very talented musicians. 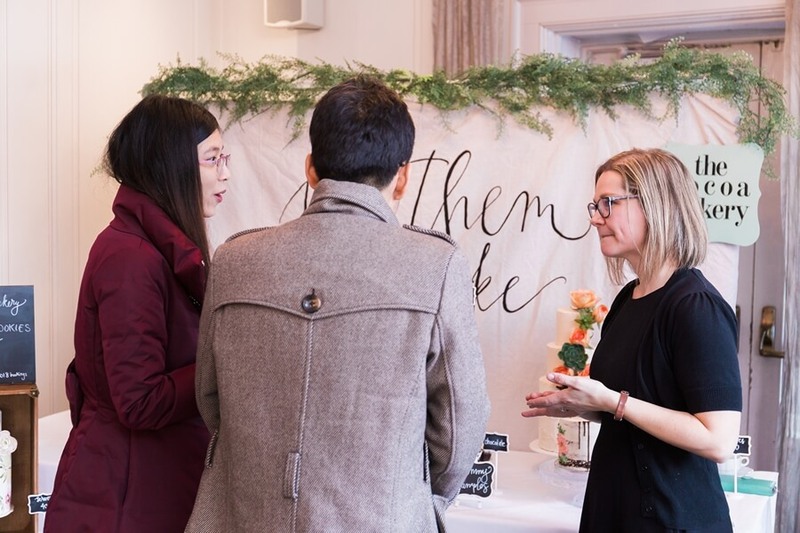 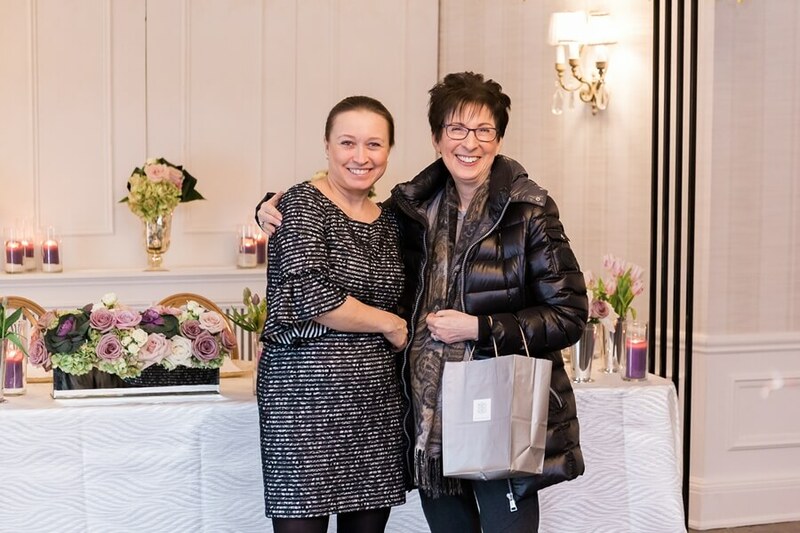 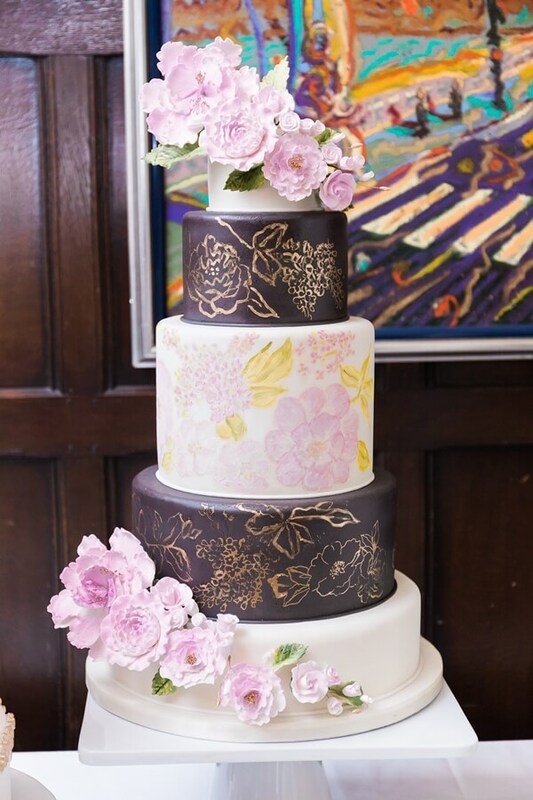 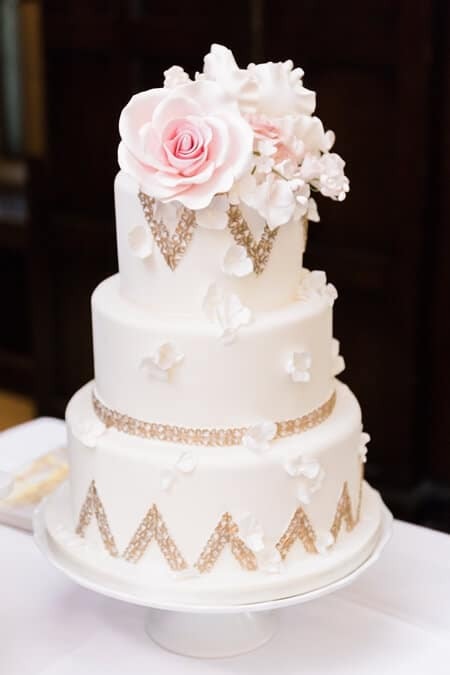 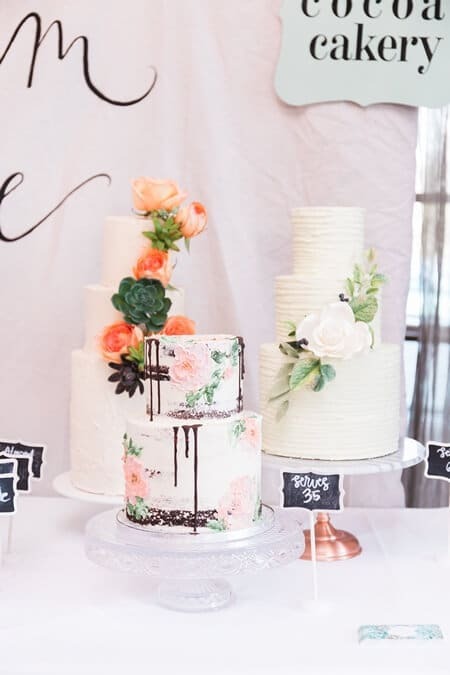 Guests lingered and enjoyed taking in all the beautiful sites and sounds, all while enjoying delicious samples from our good friends at Patricia’s Cake Creations. 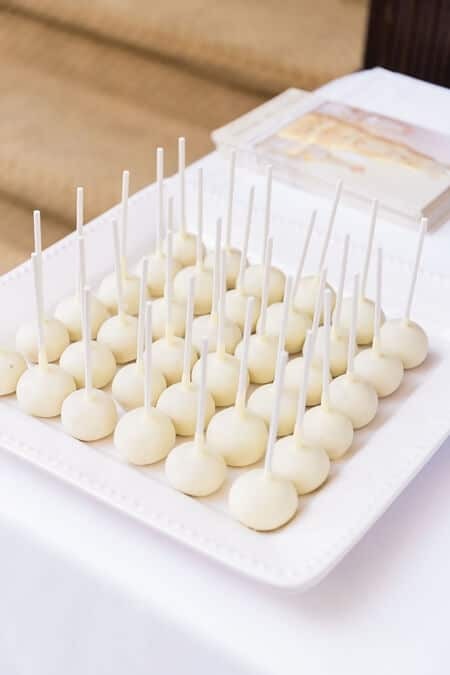 Their cake pops are undeniably delicious! 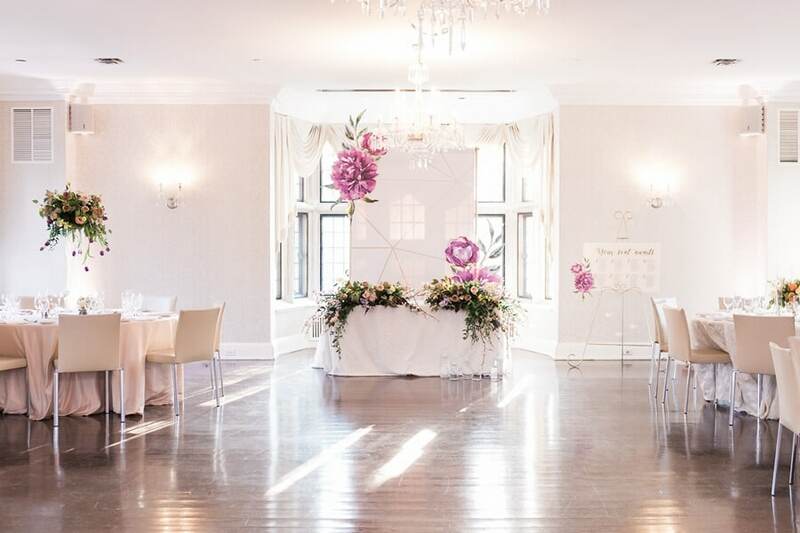 Entering the Main Ballroom, guests were immediately greeted by a gorgeous setup by Fete Floral & Events. 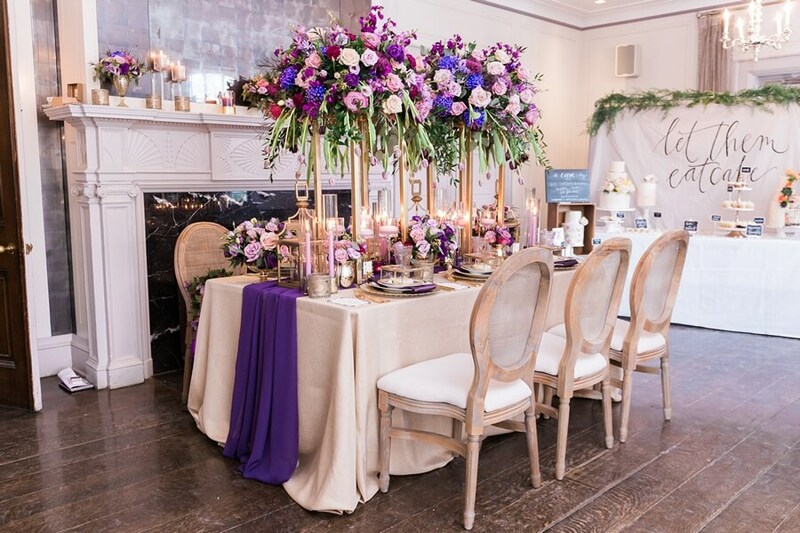 I loved the head table setup with the juxtaposition of a graphic backdrop with floral design complemented the lush, organic flowers on the tabletop, giving a modern twist to this classically-decorated space. 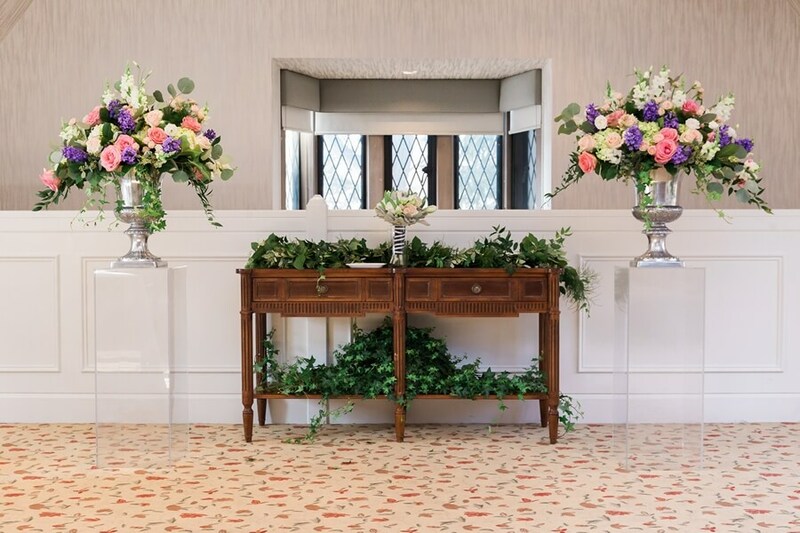 It’s certainly worth noting that many of the architectural details in the historic ballroom have been recently refreshed for the upcoming wedding season. 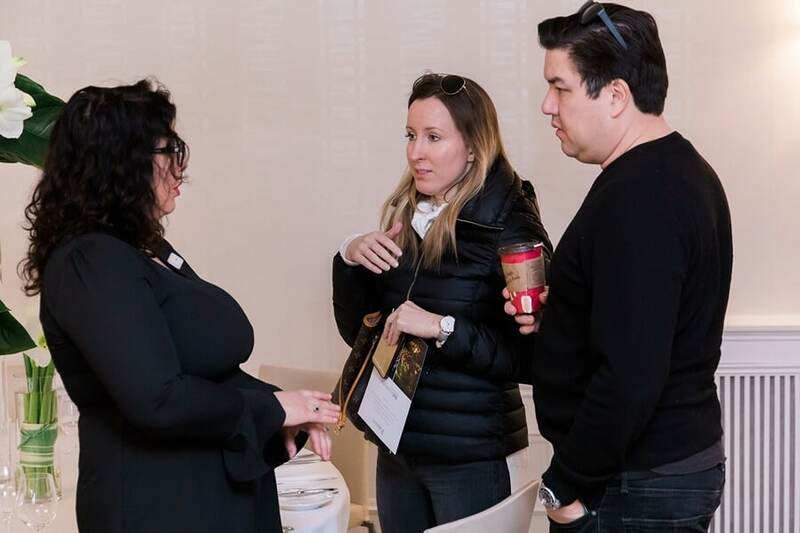 Continuing on their grand tour, guests were also able to meet and greet the all-star teams from Mango Studios, Corina V. Photography and Impact DJ. 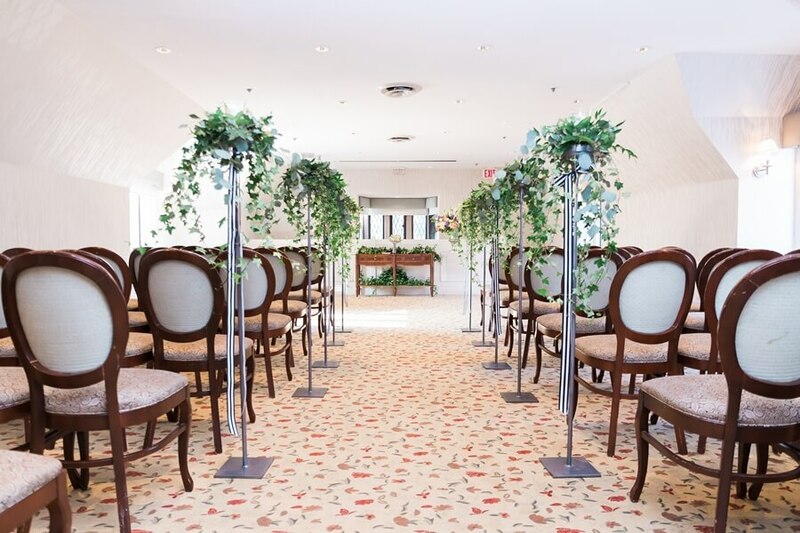 Heading up the winding staircase to the second floor, we tour two of the available ceremony spaces. 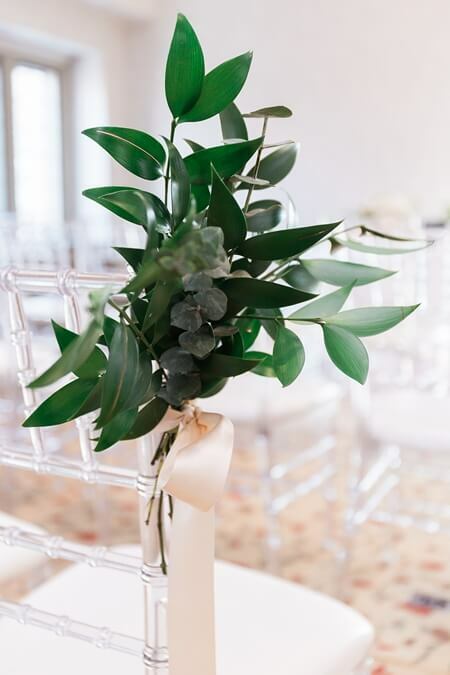 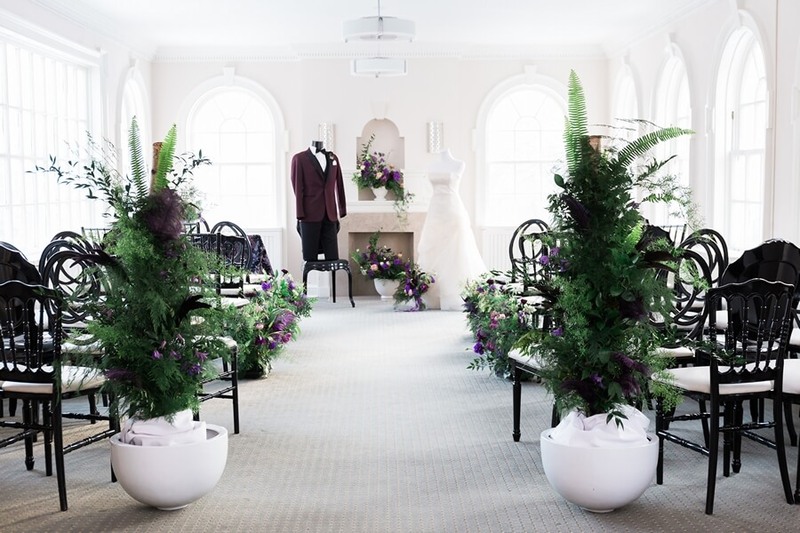 Beginning with The Valleyanna Room, where the team at San Remo Florist lined the aisle with stands presenting greenery and subtle blooms. 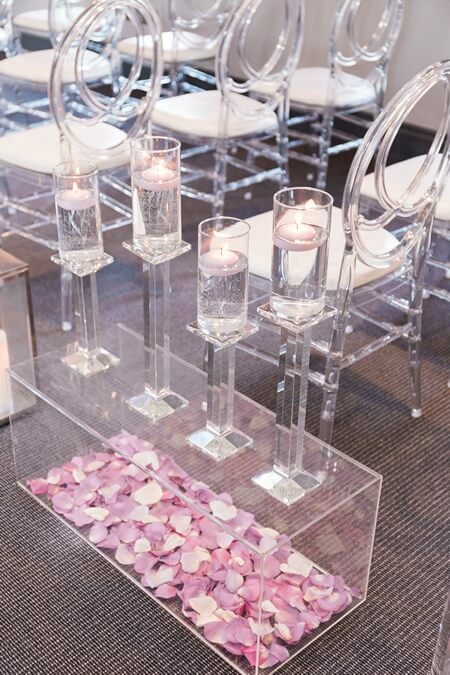 The altar arrangements brought a gentle pop of colour to the space as well. 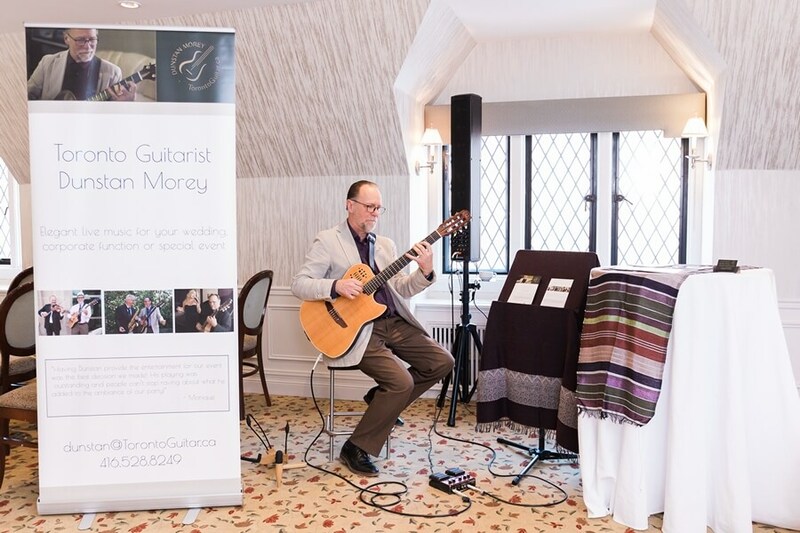 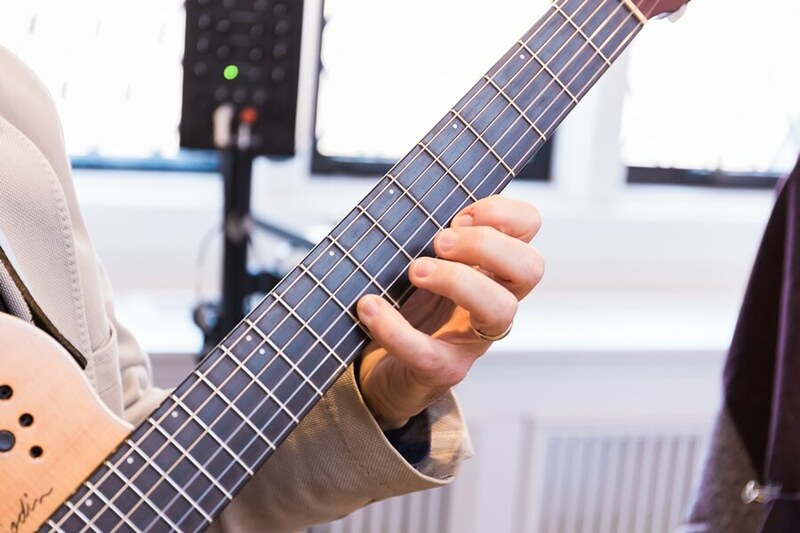 Dunstan Morey Guitarist serenaded guests as they entered the room. 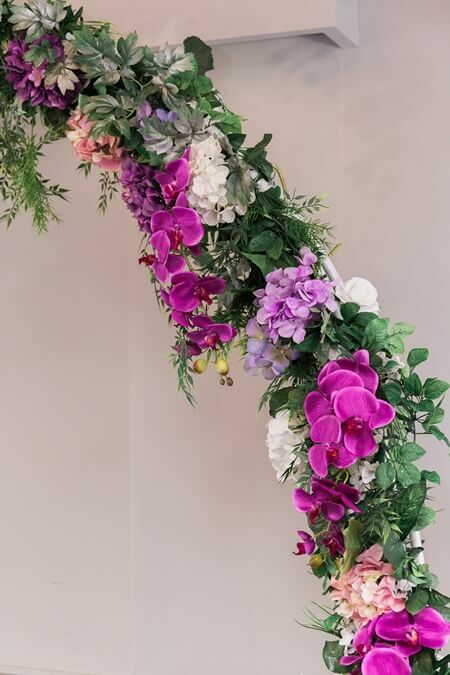 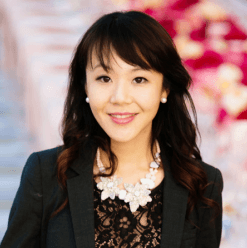 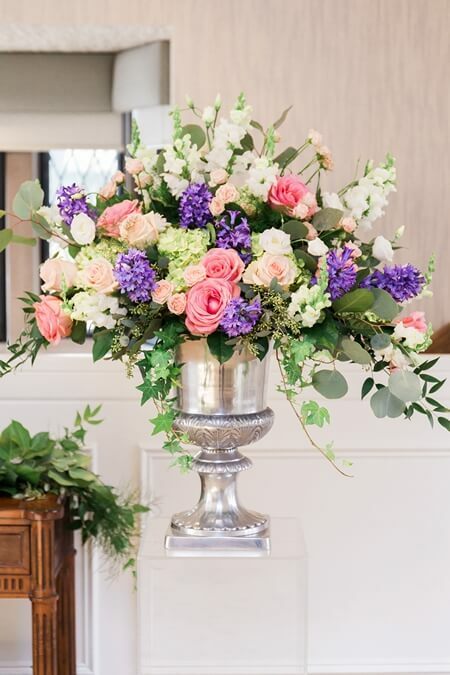 Across the hall to the Academy of Medicine, Phoebe Lo Events designed a contemporary, Spring garden themed look for this ceremony with a jaw-dropping unconventional floral altar piece! 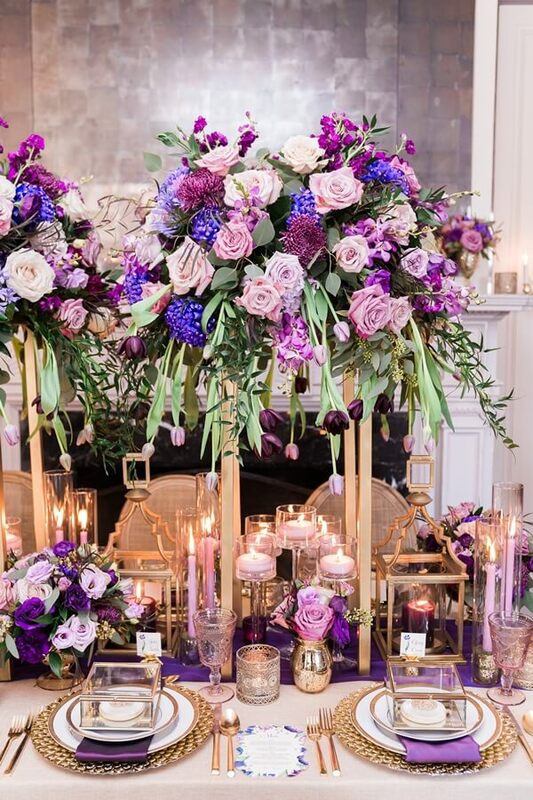 The flowers totally perfumed the space. 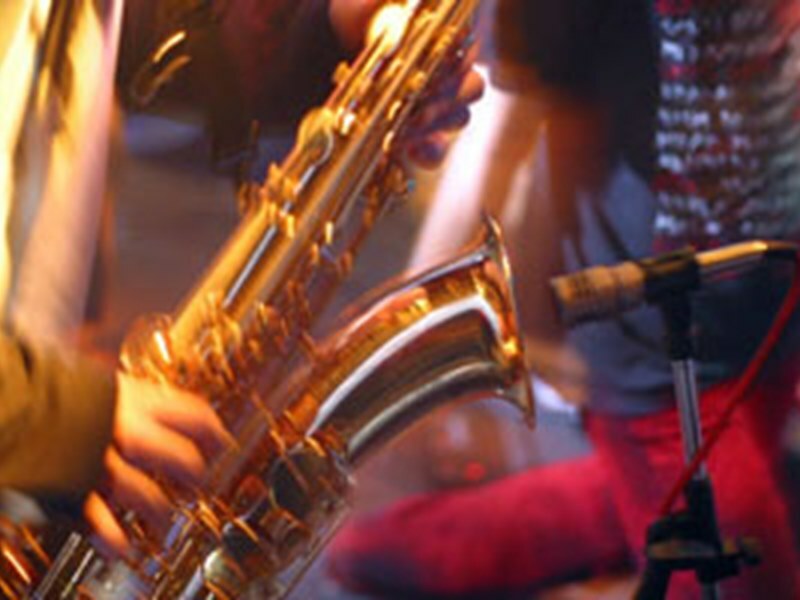 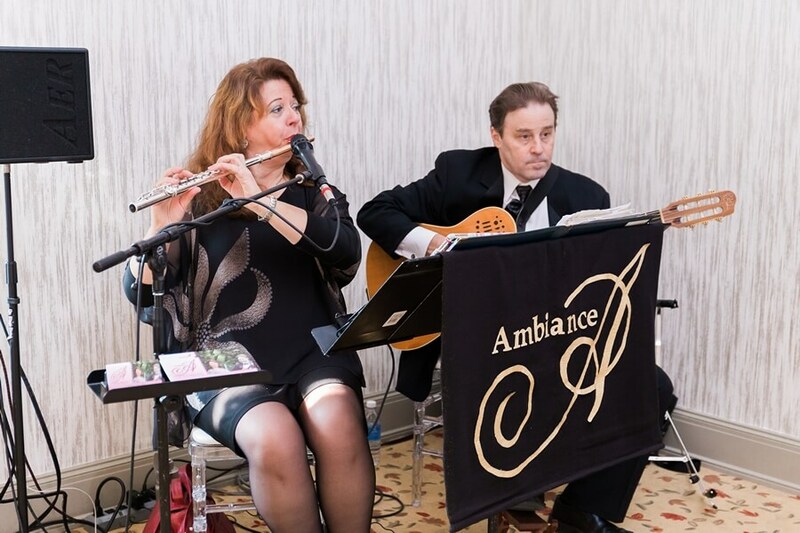 Ambiance Flute & Guitar Duo‘s live music added a romantic touch. 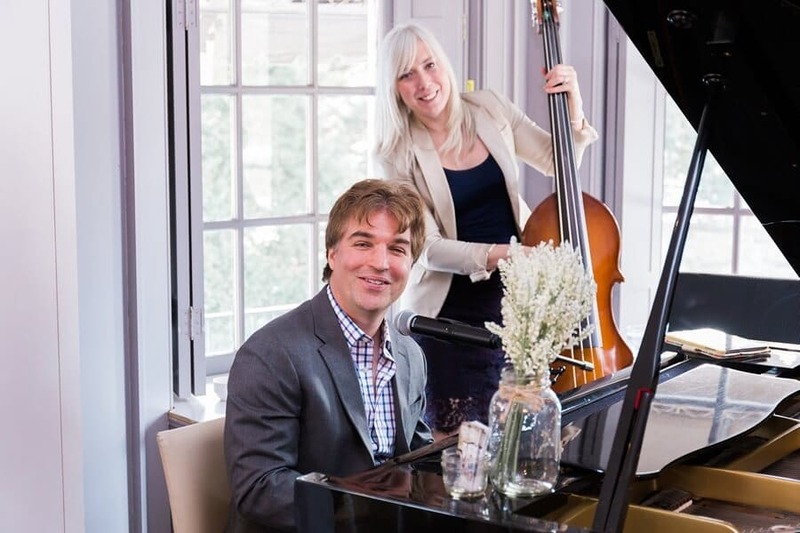 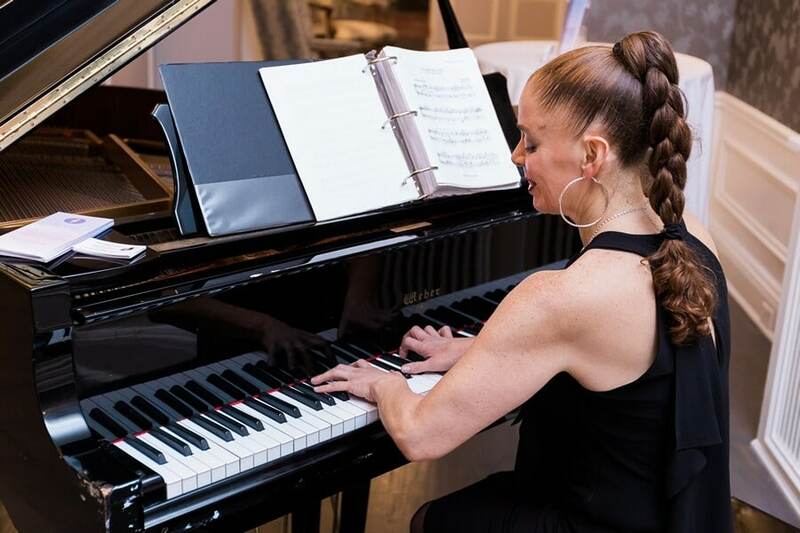 With classical piano performed by Alisa Gayle Piano drawing us toward, our last stop of the tour is the Courtyard Ballroom at the lower level. 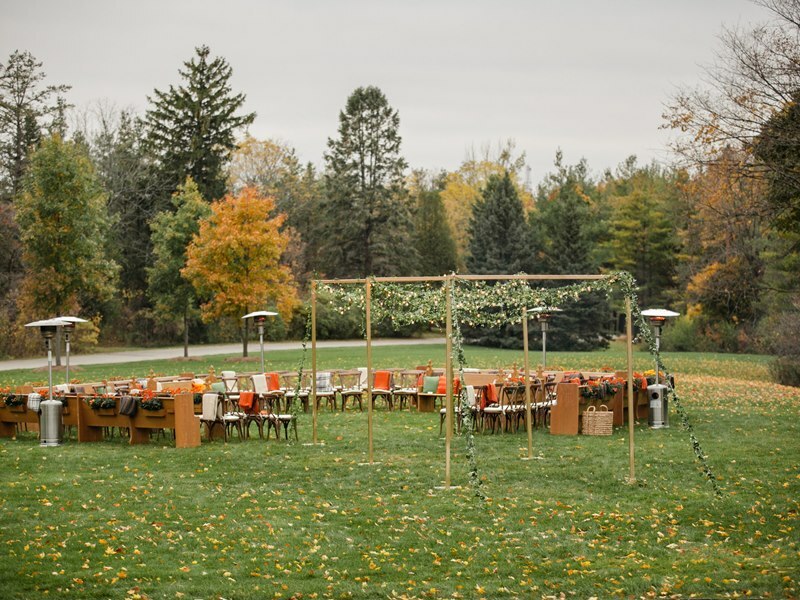 One of the stand-out features has got to be the walk out patio. 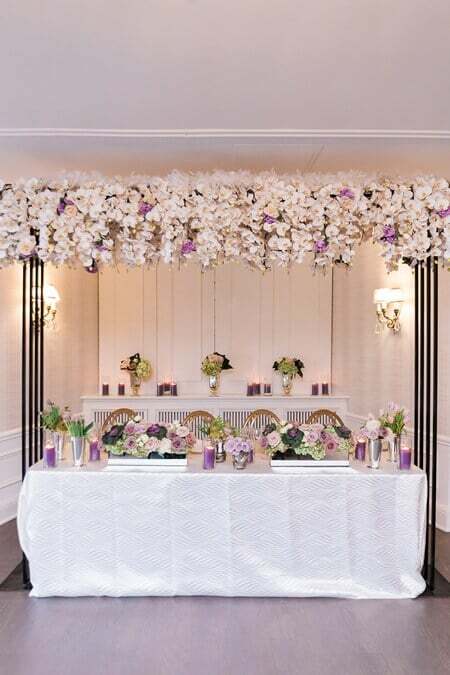 Fabulous Occasions and D&D Floral Designs styled the ballroom with some seriously stunning decor: the hanging florals above the head table were certainly a show stopper! 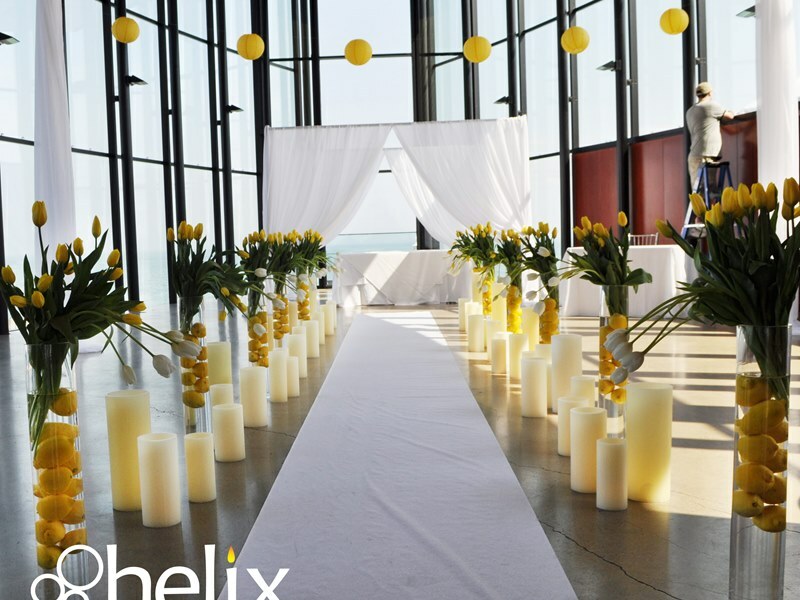 We had an amazing time touring this classic venue on a bright and cheery winter Sunday! 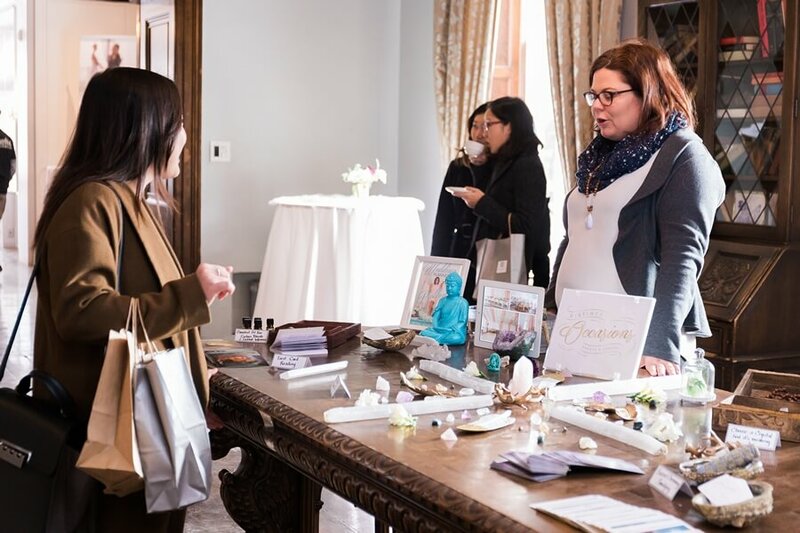 The team at Estates of Sunnybrook always does a great job pulling together such as a stellar list of vendors each and every year. 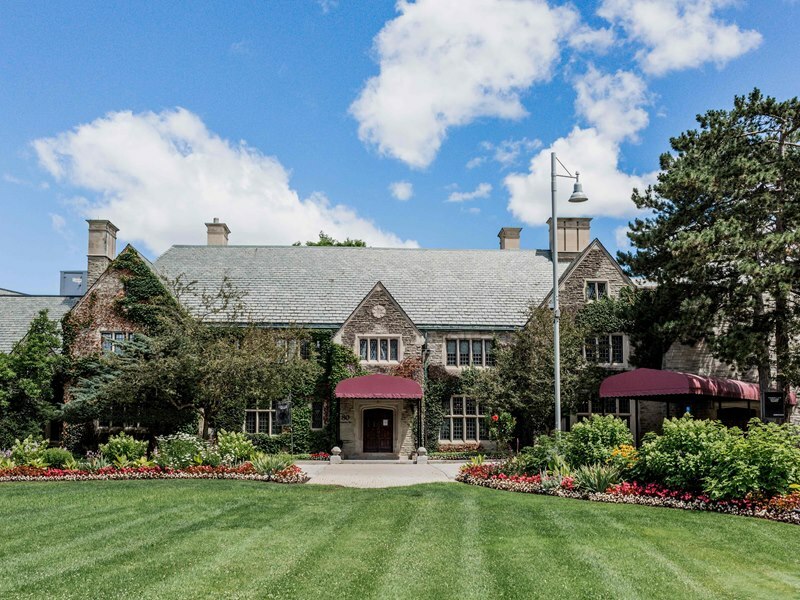 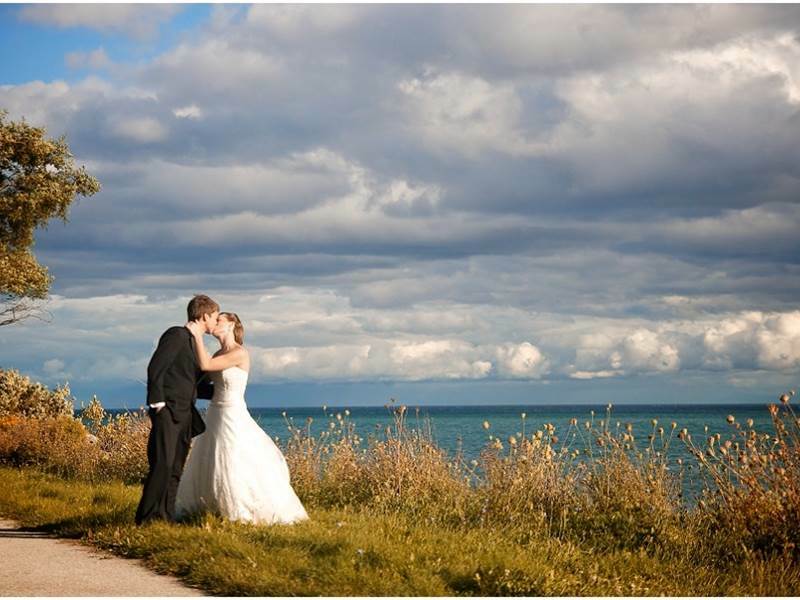 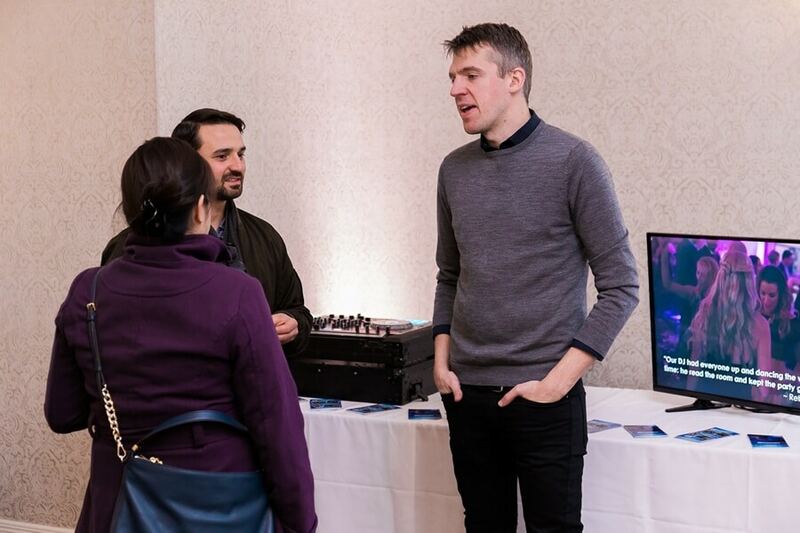 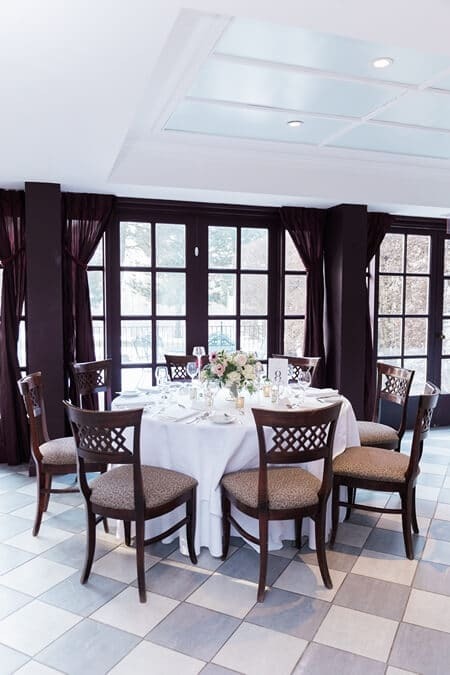 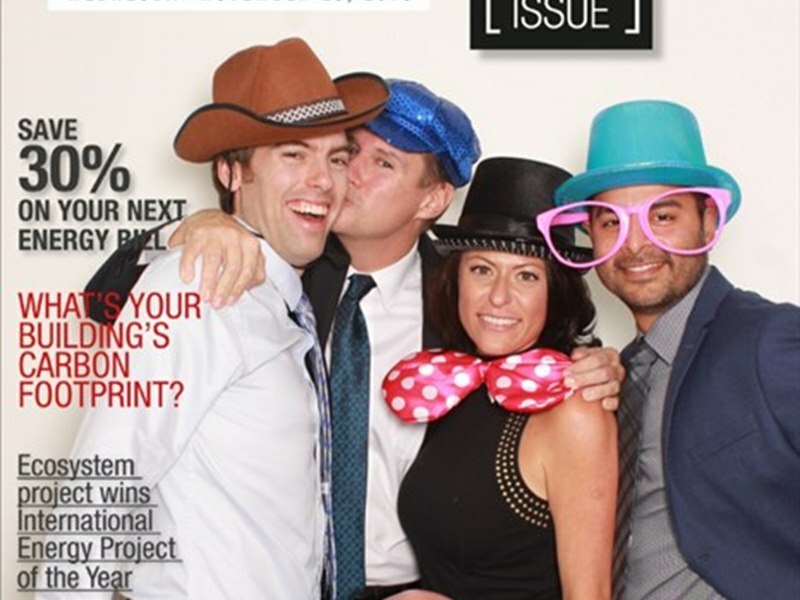 Also interesting to note for couples – did you know that a portion of the profits generated from events actually go toward supporting research at the Sunnybrook Health Science Centre? 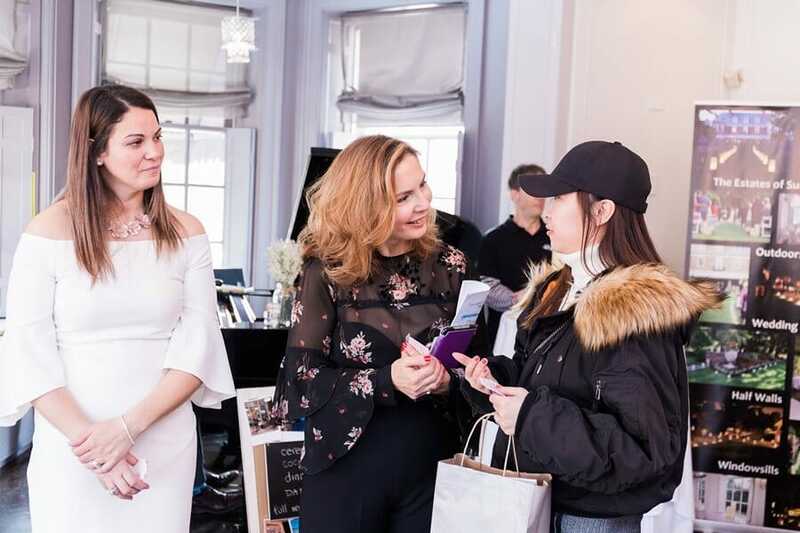 Such a meaningful way to help give back! 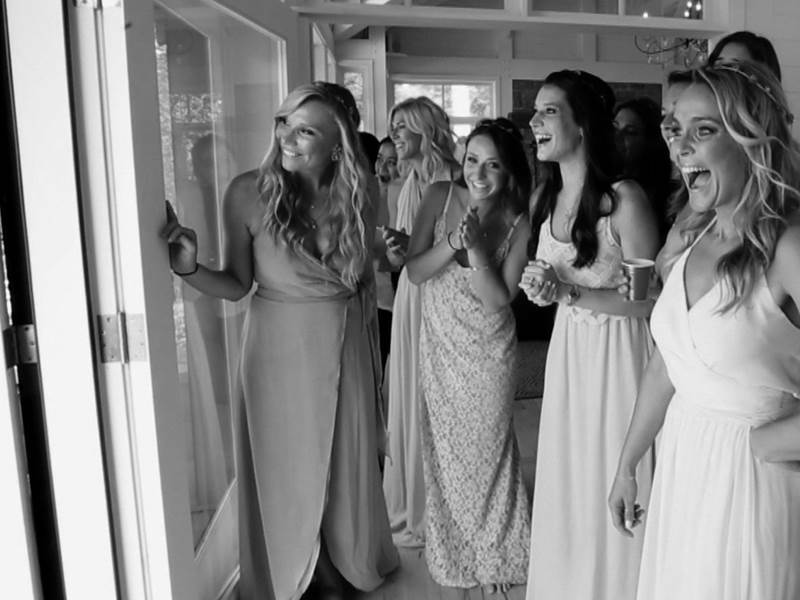 For more from this fabulous day, don’t miss this video recap shot by our friends at Images Life Media!